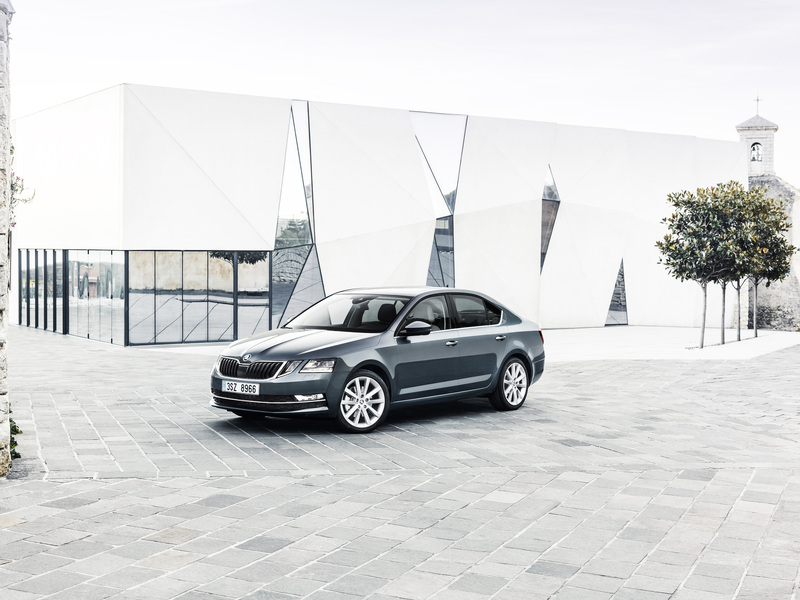 Mladá Boleslav / Vienna, 10 January 2017 – An even more striking design, new equipment and state-of-the-art technology for assistance, infotainment and connectivity – the ŠKODA OCTAVIA presents itself a new, in top shape. 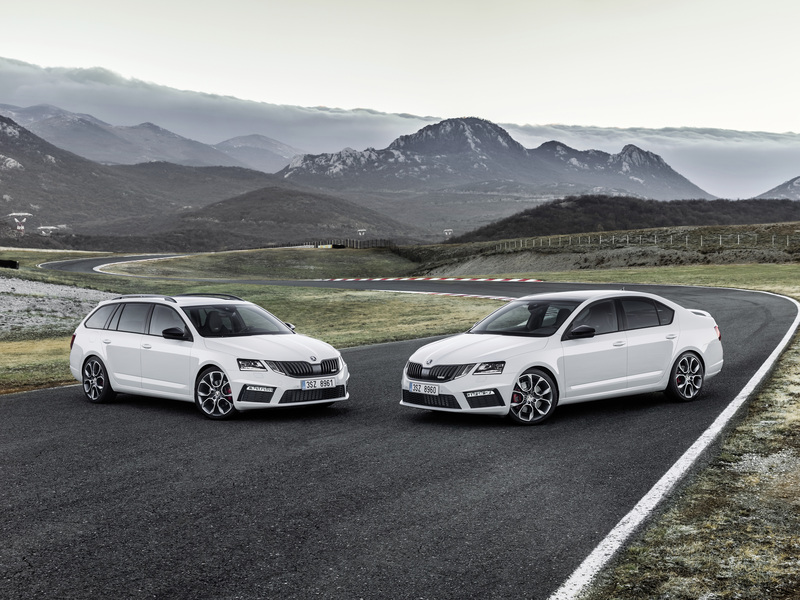 The comprehensive upgrade has been applied to the hatchback as well as the Combi. 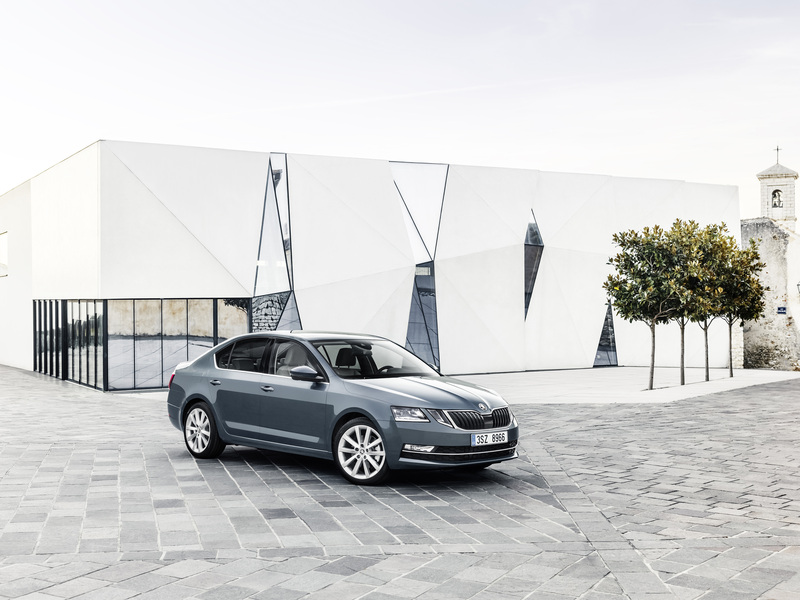 With the new design language, now ŠKODA’s compact bestseller has received an injection of even more vigour and emotiveness too. 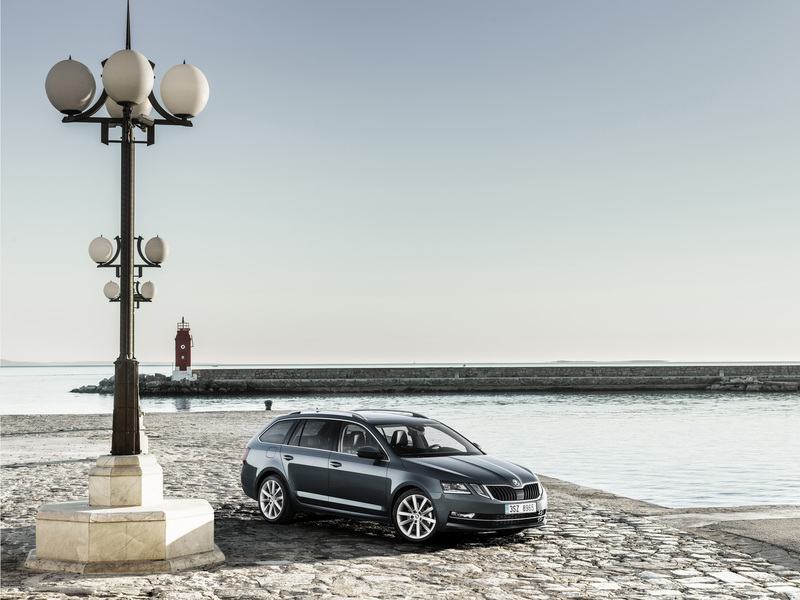 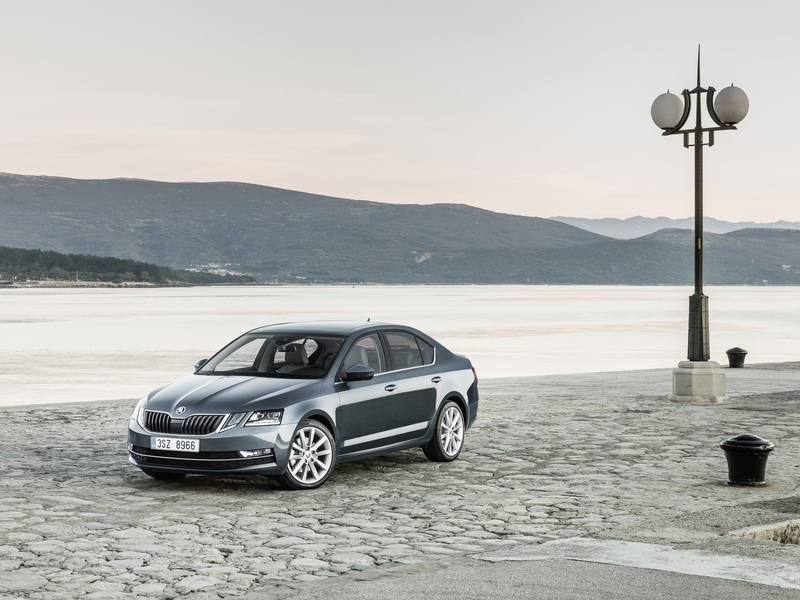 It is the heart and soul of ŠKODA, it embodies all of the Czech car manufacturer’s strengths and lays the foundations for its success – the ŠKODA OCTAVIA. 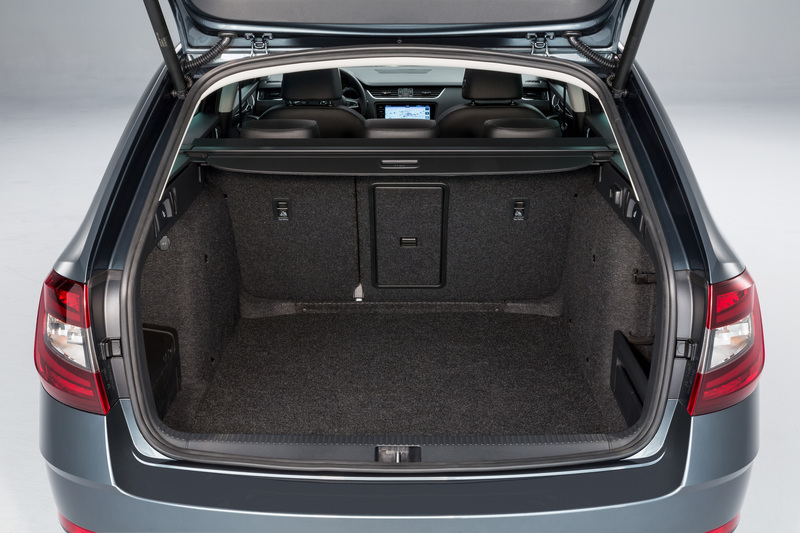 The large compact car offers interior space that is among the most generous in its segment and brings the equipment and the technology of a mid-size car into the compact segment. Its design is striking, its quality is on the highest level, and above all it represents exceptional value for money. 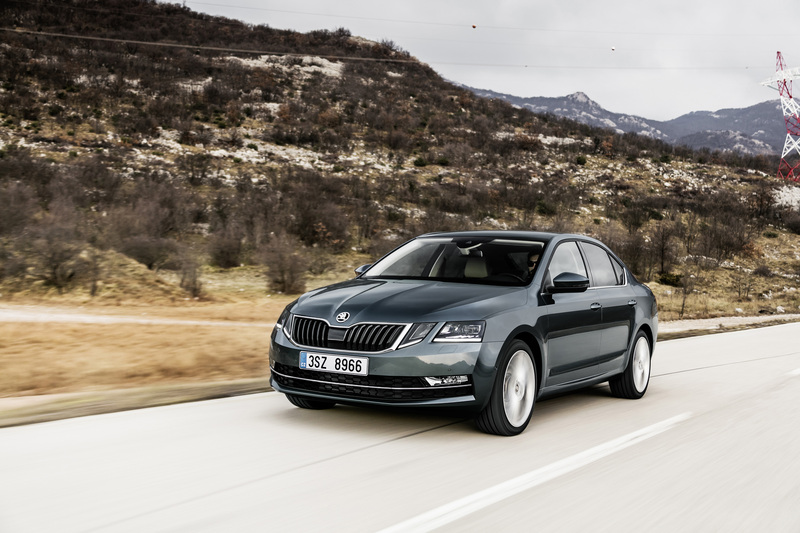 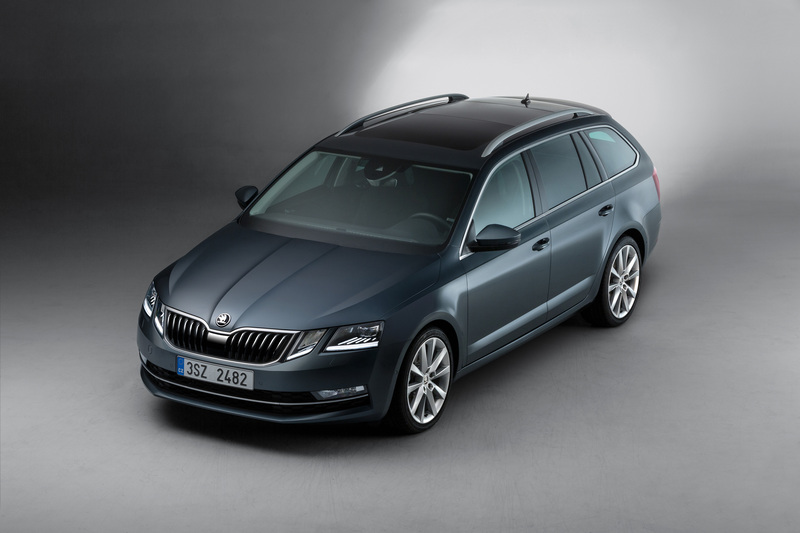 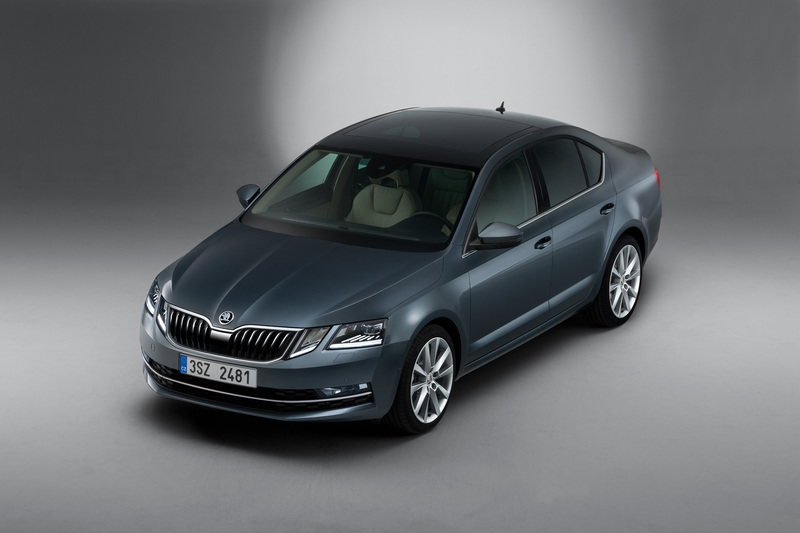 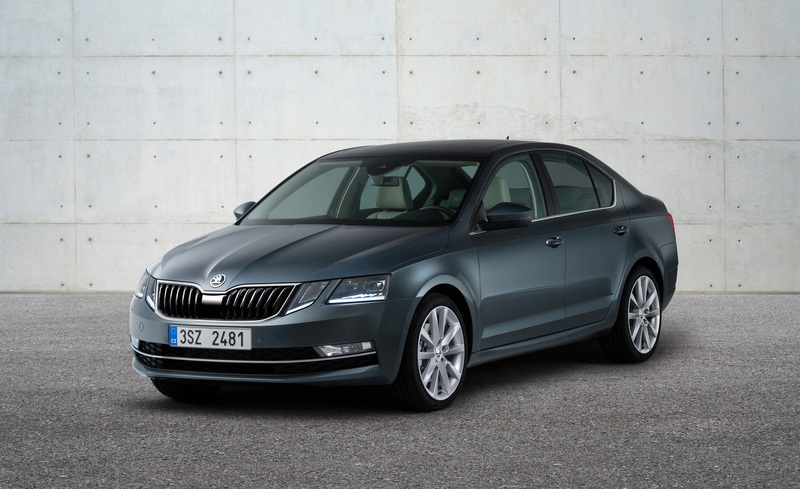 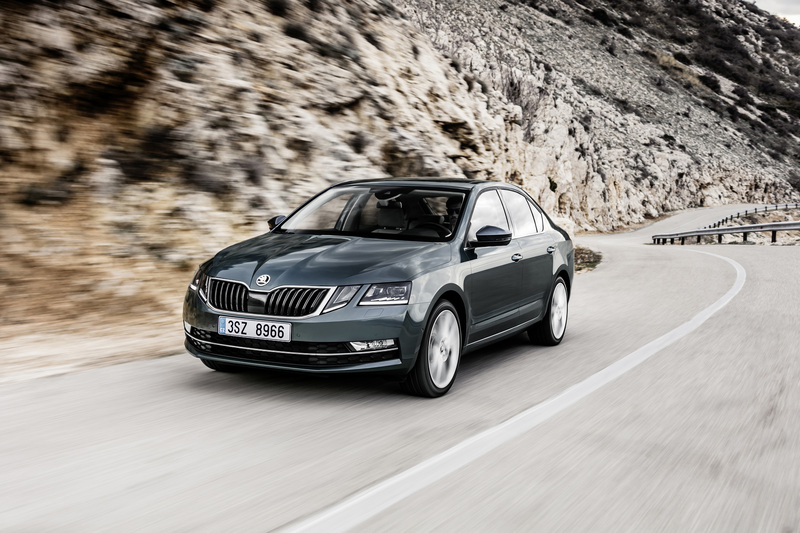 The OCTAVIA is ŠKODA’s top seller: since its market launch in 1996, the Czech car manufacturer has produced more than five million ŠKODA OCTAVIAs. 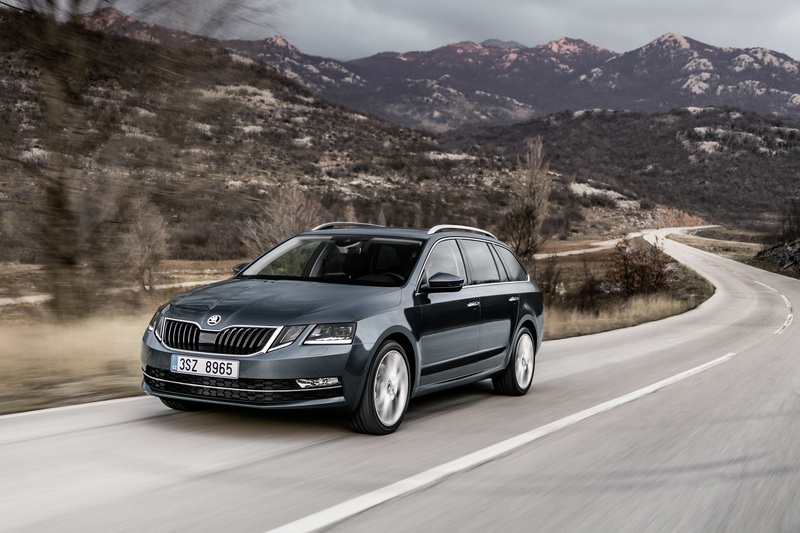 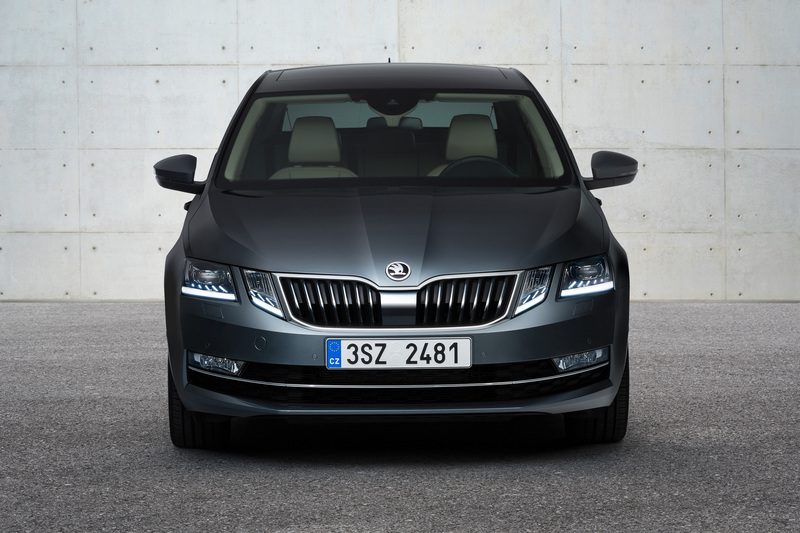 In 2016, now in its third generation, the large compact car made up more than 40 per cent of ŠKODA’s total sales worldwide with 436,000 vehicles sold. 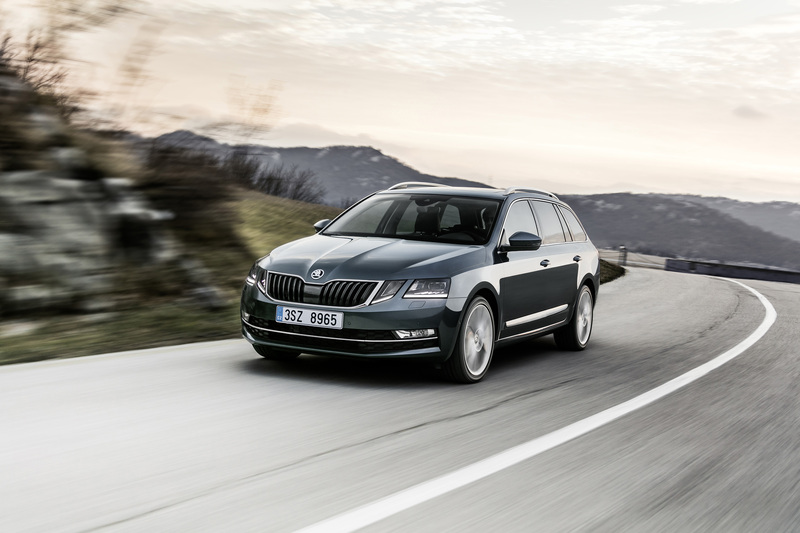 255,000 cars found buyers in Europe, 4.2 per cent more than in the previous year. 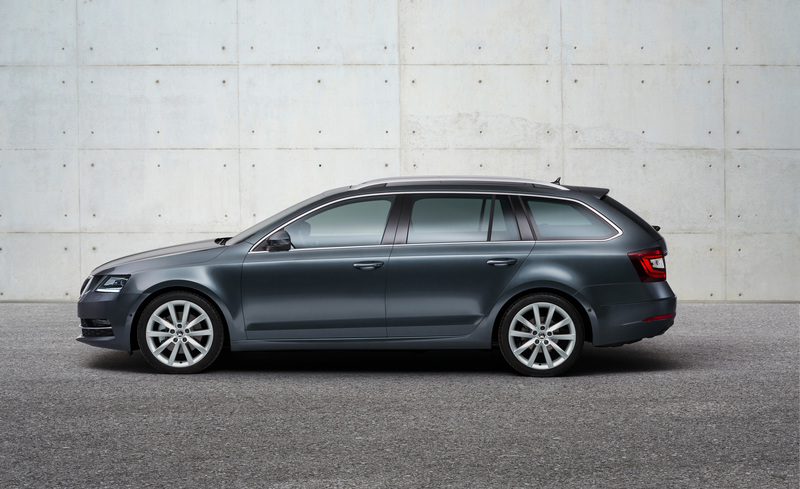 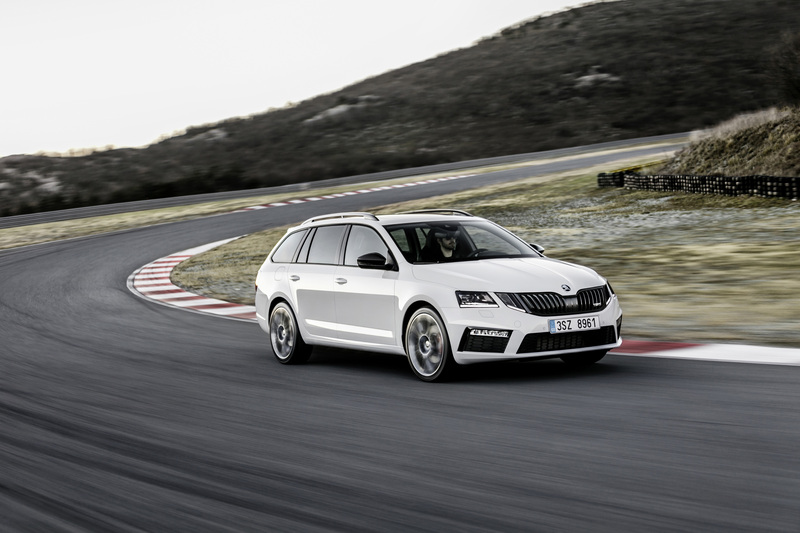 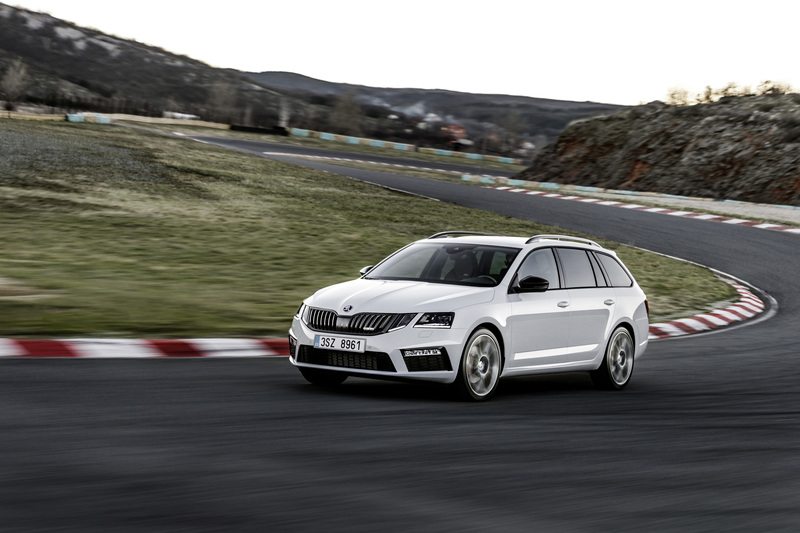 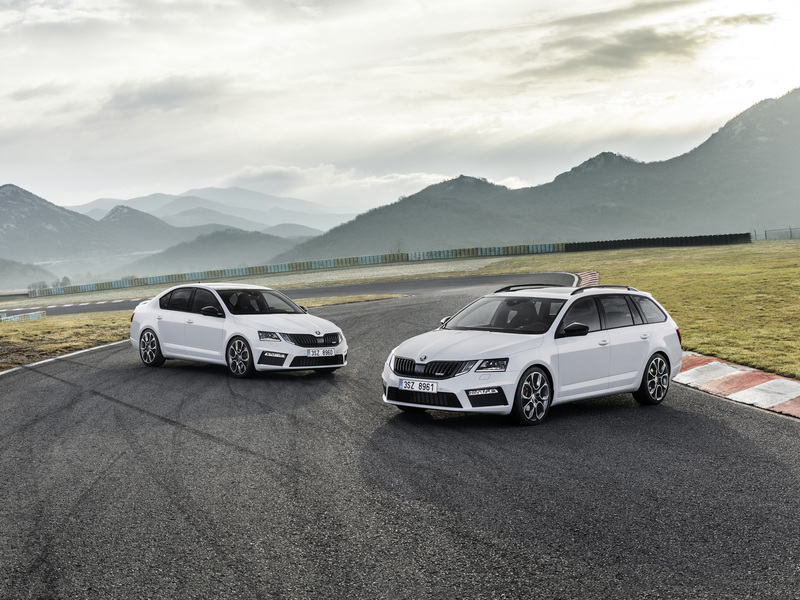 The model range has fanned out: additions to the hatchback and Combi are the all-terrain OCTAVIA SCOUT, the extremely economical OCTAVIA G-TEC with CNG powertrain, as well as the RS models, which – as with the higher-end variants – are increasingly moving into the focus of customers. 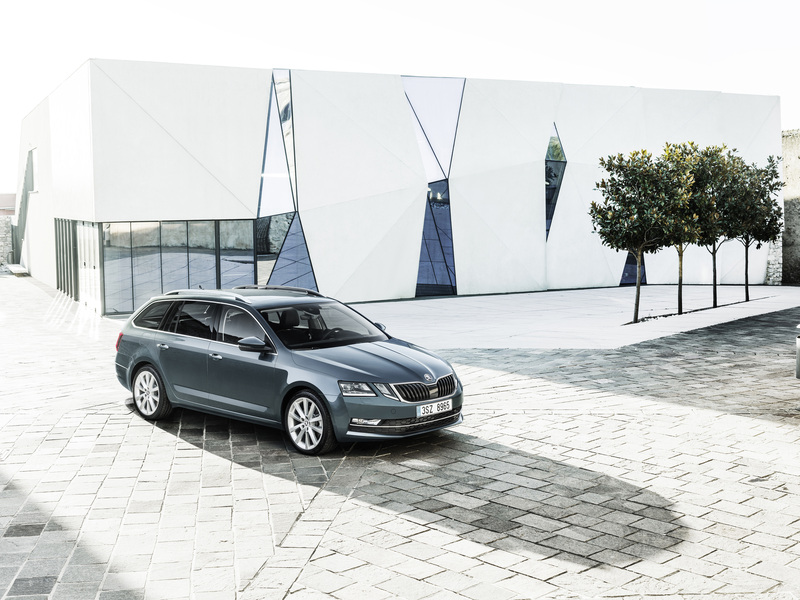 Comprehensively upgraded, the OCTAVIA hatchback and the OCTAVIA COMBI are now starting the second half of their life cycle. 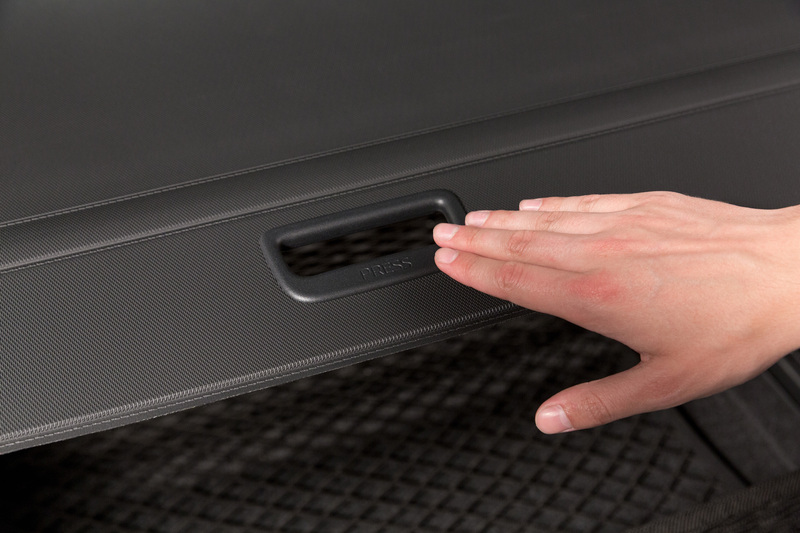 In many European countries, they will be available for order from the end of 2016. 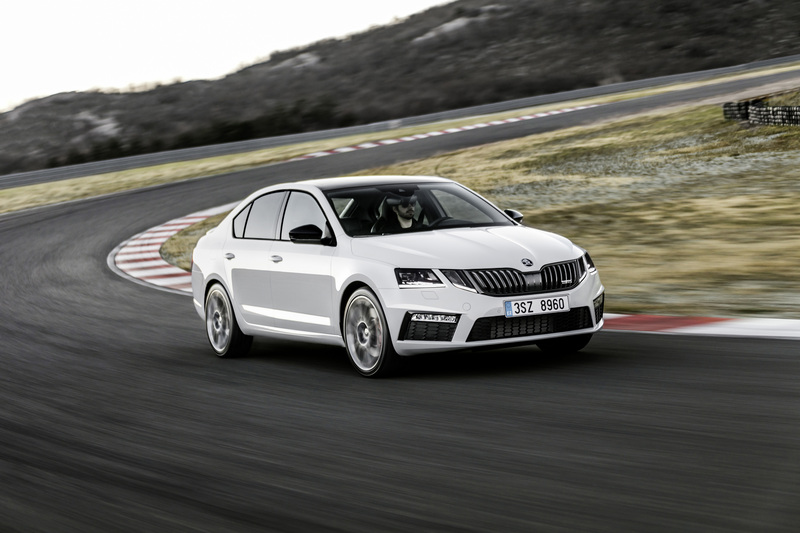 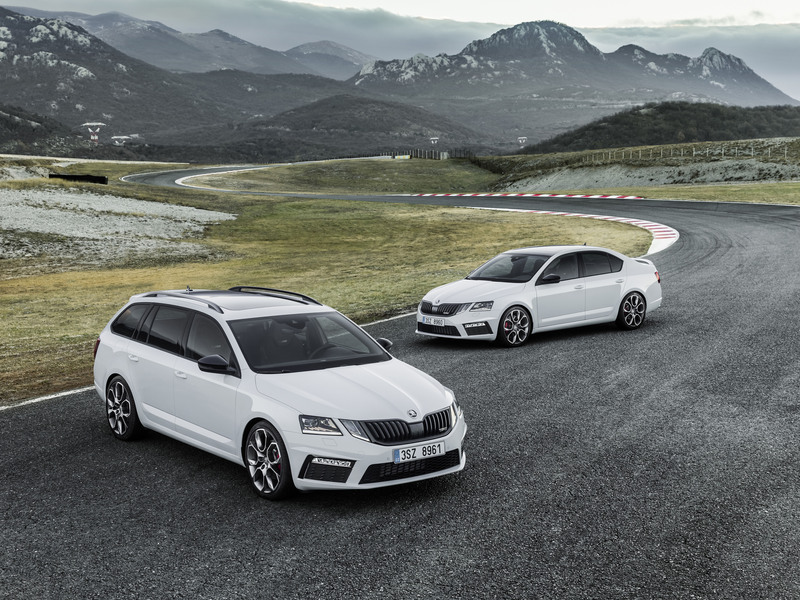 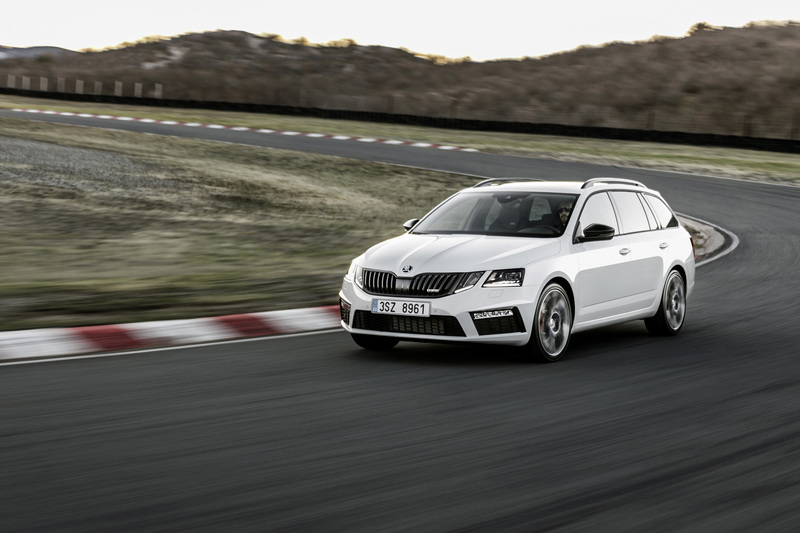 The ŠKODA design team have streamlined the OCTAVIA’s lines even further. 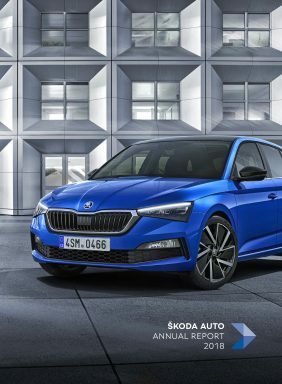 The new front end with wider radiator grille, which has been expanded by introducing additional headlights with a crystalline look, and the even wider air inlets with honeycomb structure in the redesigned bumper create a masculine and dynamic look – and provide increased recognition value. 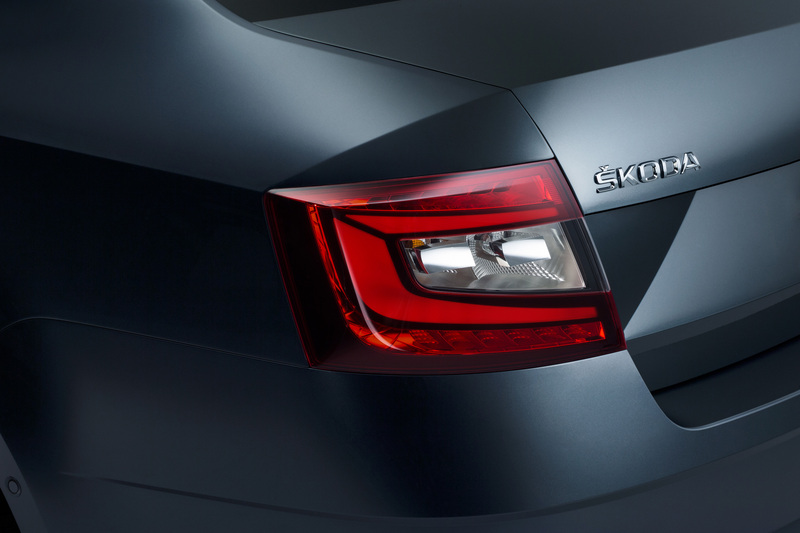 As an option, the headlights are available in full-LED technology with adaptive front headlights (AFS). 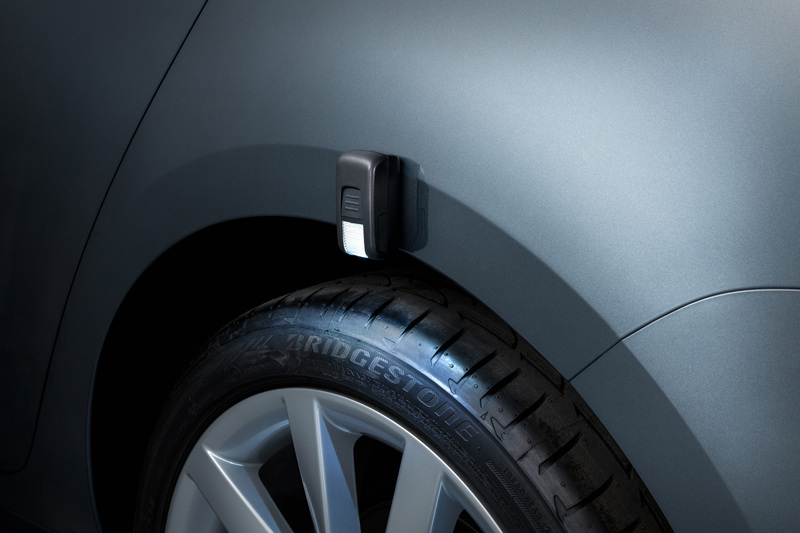 The LED tail lights come in a choice of two variants; the C-shaped lights now illuminate in a uniform manner across the surface. 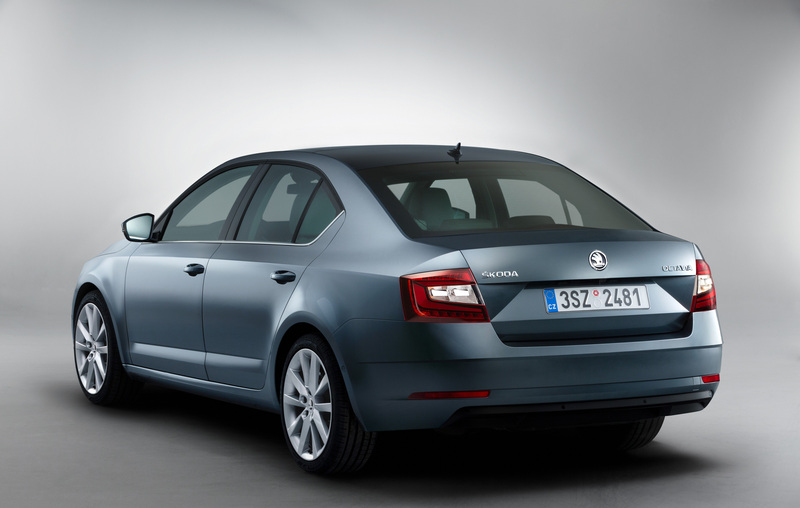 The upgraded ŠKODA OCTAVIA has grown a few millimetres in length, and the width of its rear track has increased by 20 or 30 mm (depending on engine and rear axle). 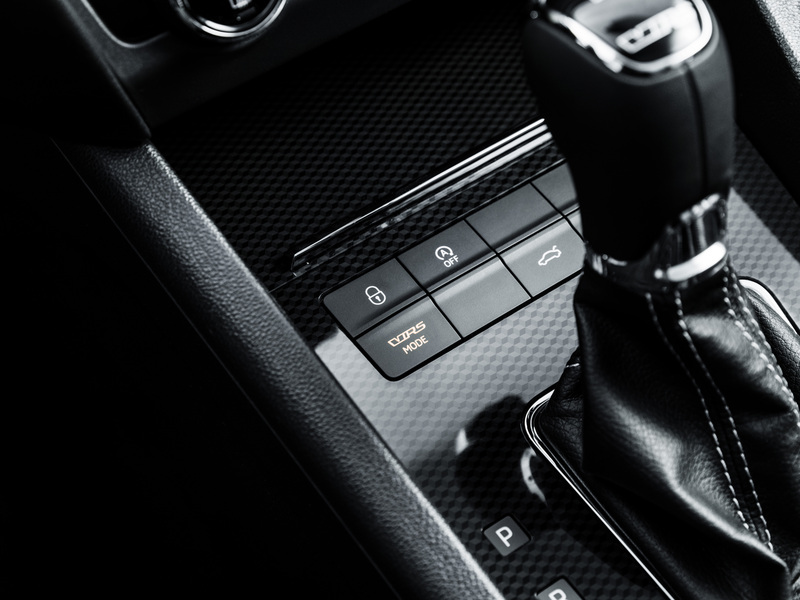 The interior comes across as high-quality and functional, the multifunction display and the air-conditioning controls have been retouched slightly. 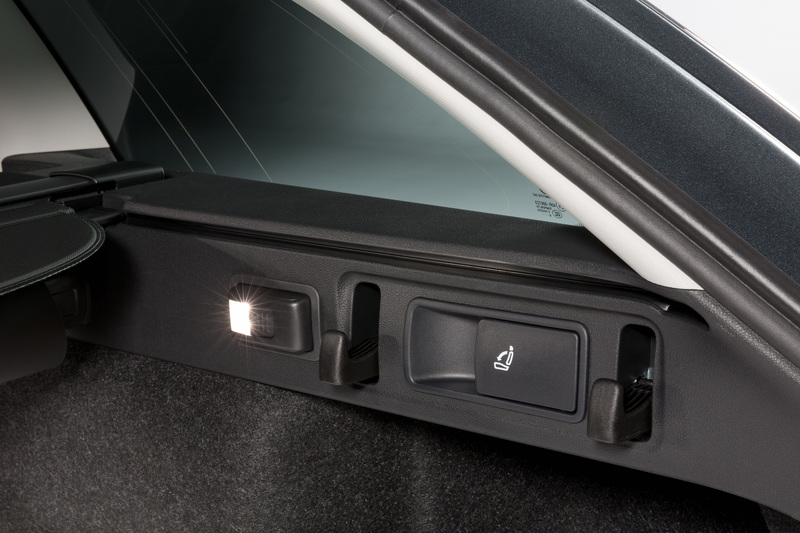 Subtle lighting units in the doors (optional) provide ambient lighting which can be adjusted to one of ten different colours. 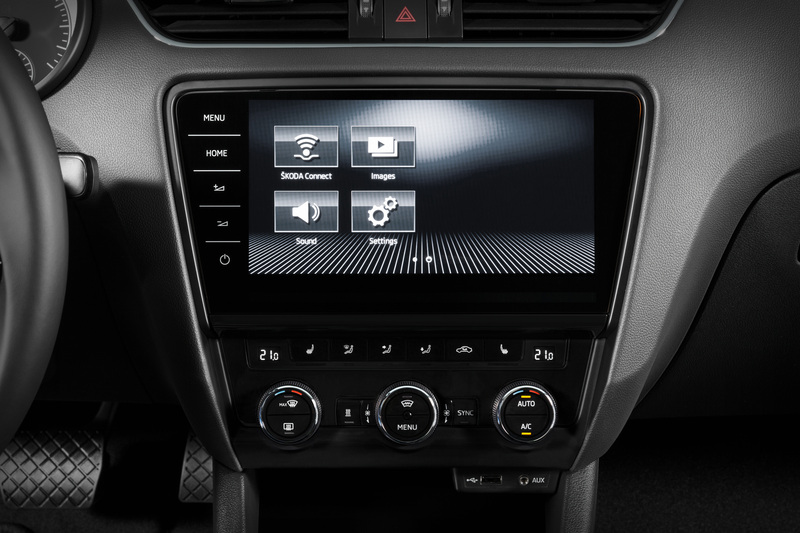 The infotainment systems in the ŠKODA OCTAVIA are part of a new generation. 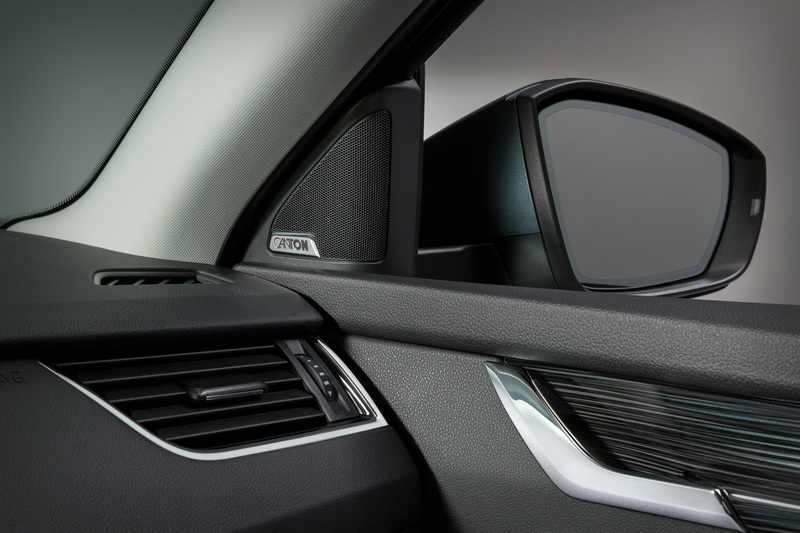 Their capacitive displays react to even the lightest touch. 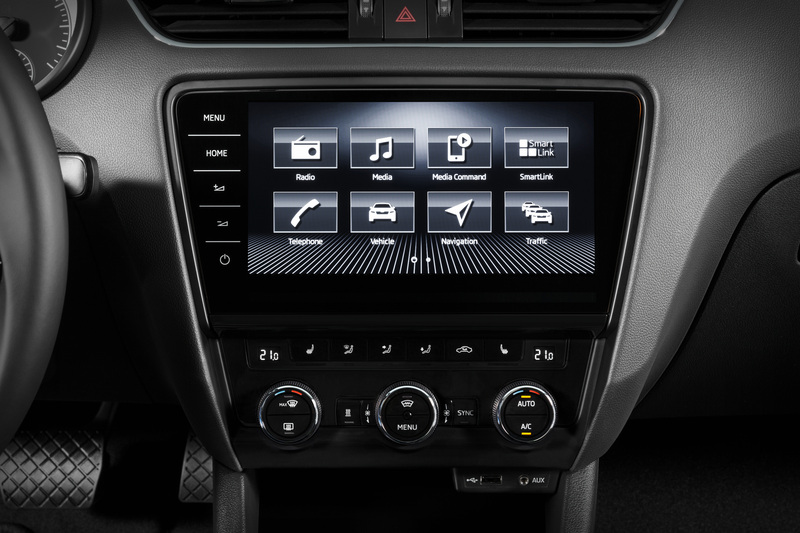 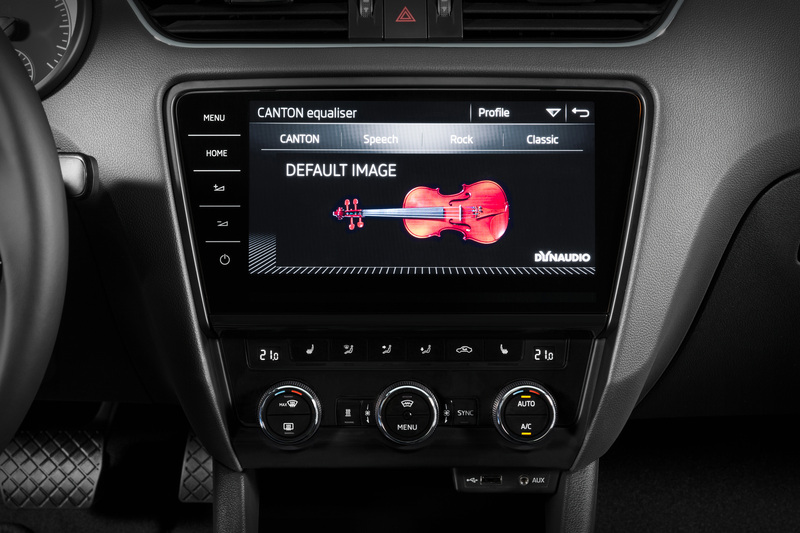 With the exception of the standard Swing music system, all the infotainment systems (optional) feature a glass design. 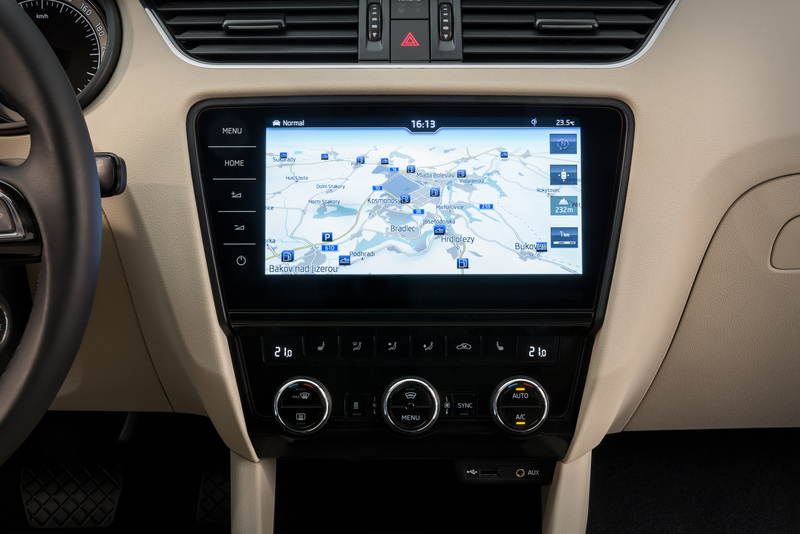 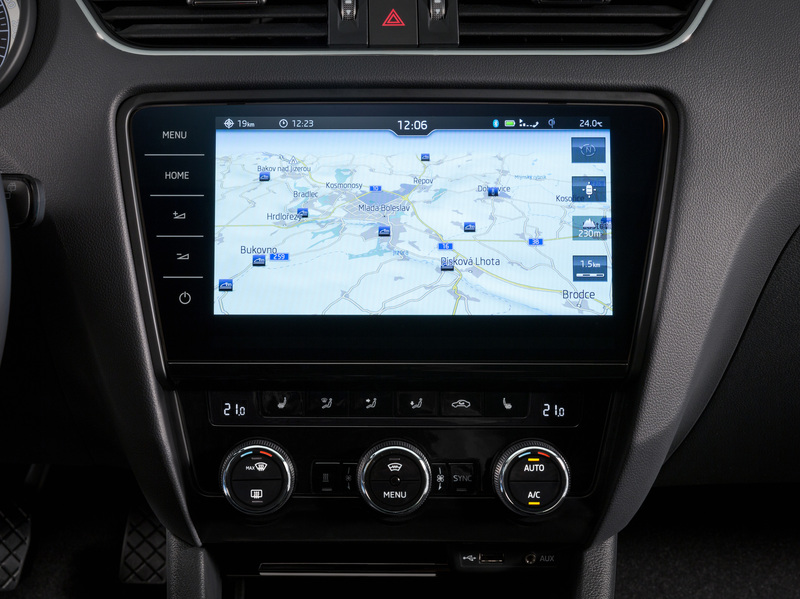 The top-of-the-range Columbus navigation system comes with a 9.2-inch display, provides passengers with a Wi-Fi hotspot and has an optional extra LTE module for super fast data transfer. 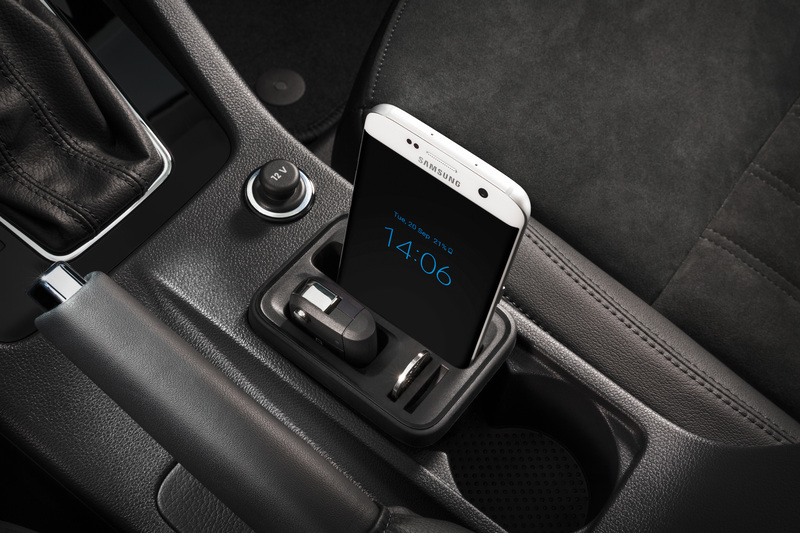 In addition, Phonebox enables inductive smartphone charging. 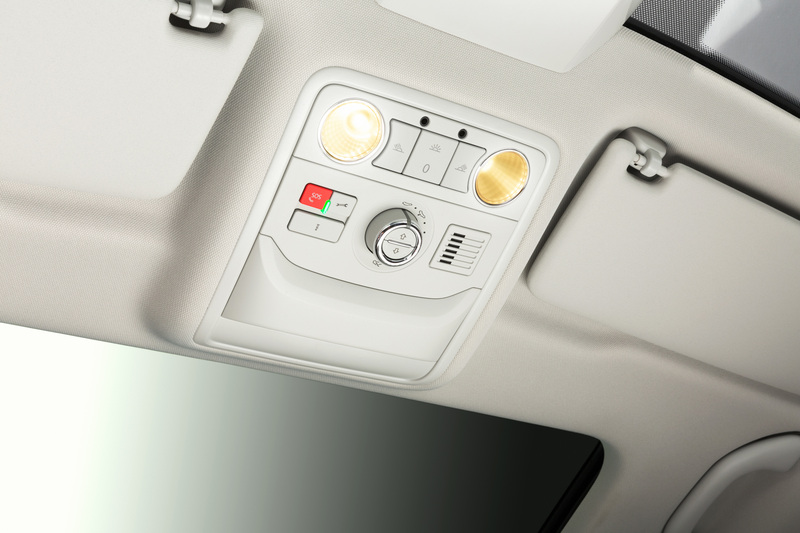 The connectivity features are also groundbreaking. 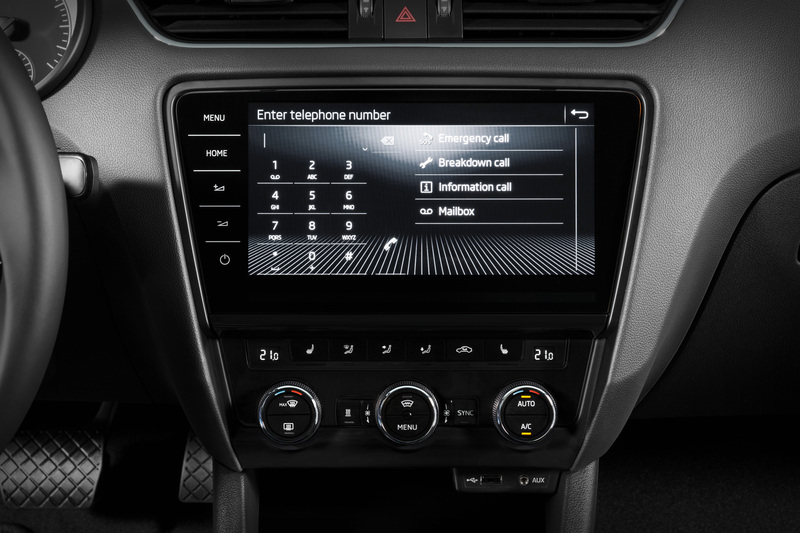 ŠKODA Connect offers a range of new mobile online services that are divided into two categories, with the Infotainment Online services providing information and entertainment, and the Care Connect services providing assistance and support. 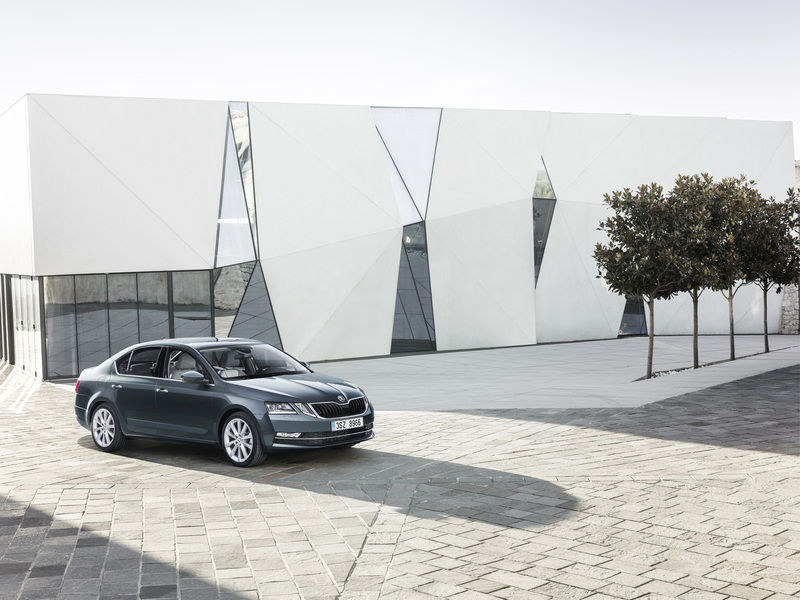 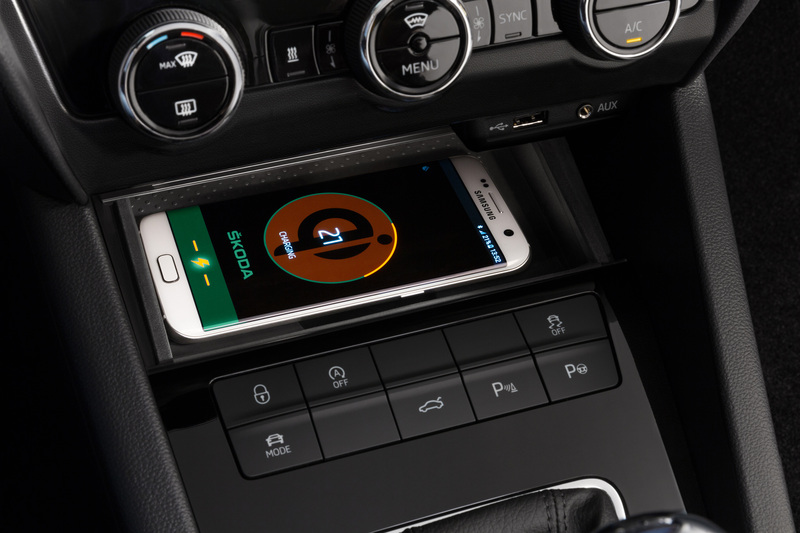 Other online services, including remote access to the car, operate using the ŠKODA Connect app on your smartphone. 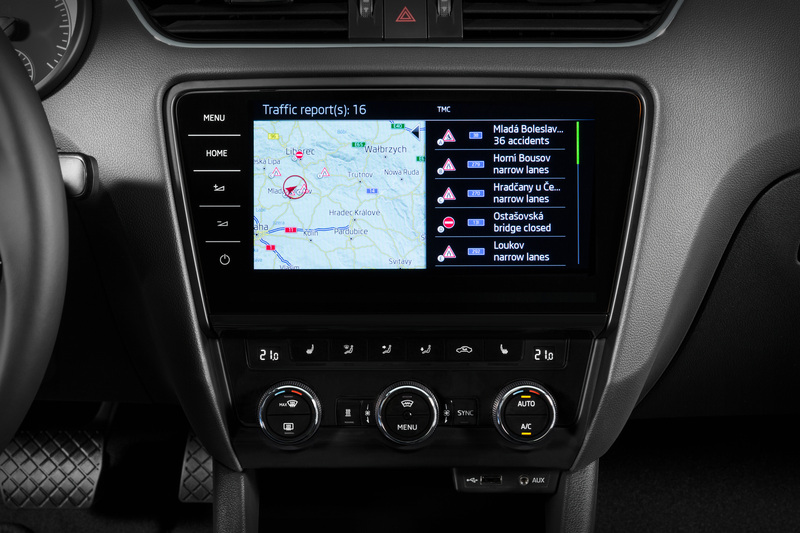 The SmartLink+ platform incorporates the Apple CarPlay, Android Auto, MirrorLink™ and SmartGate standards to pair the mobile phone with the car. 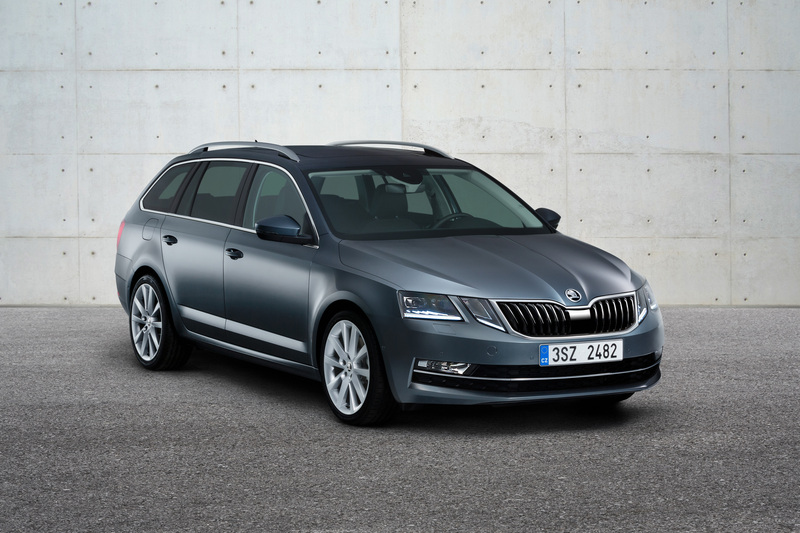 The new generation of electronic assistance systems makes driving the upgraded ŠKODA OCTAVIA even safer and more comfortable. 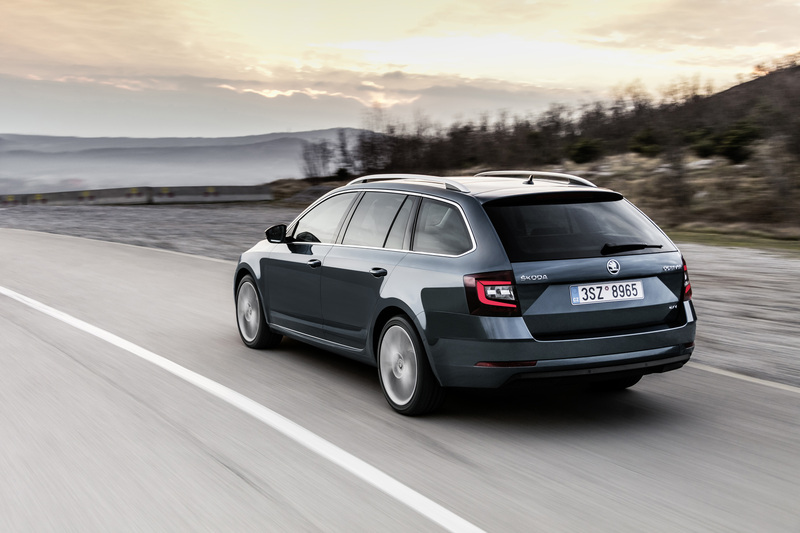 They surpass the usual level in the compact segment by far – in typical ŠKODA style – and there is a wide range to choose from. 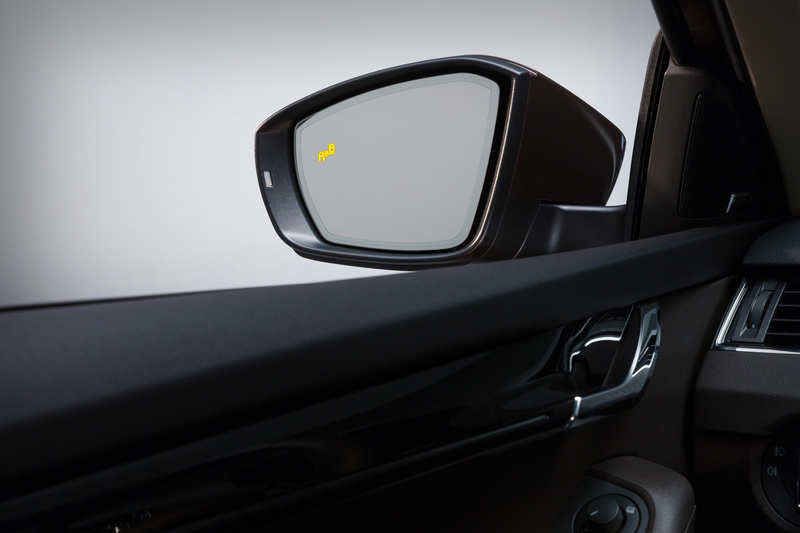 Trailer Assist, the Predictive Pedestrian Protection function, Blind Spot Detect and Rear Traffic Alert are new to the portfolio. 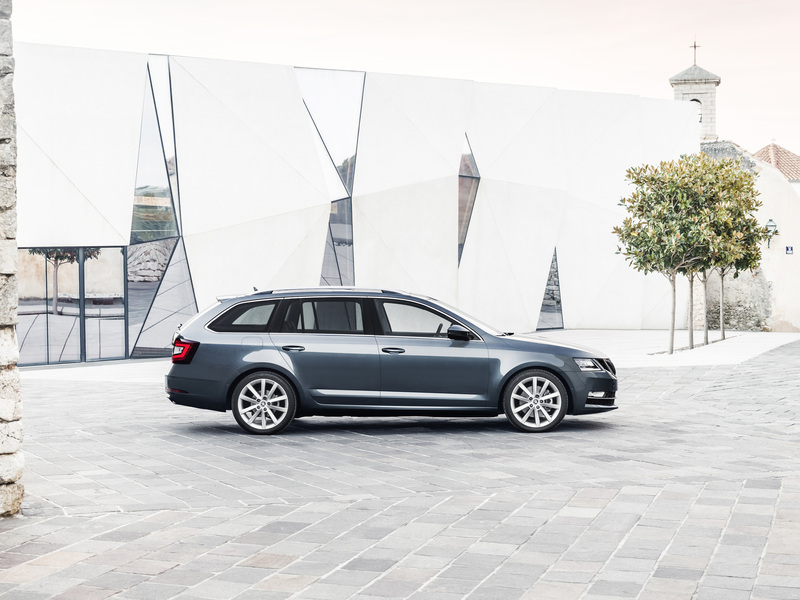 The same applies to Crew Protect Assist; it works together with Front Assist including the City Emergency Braking function. 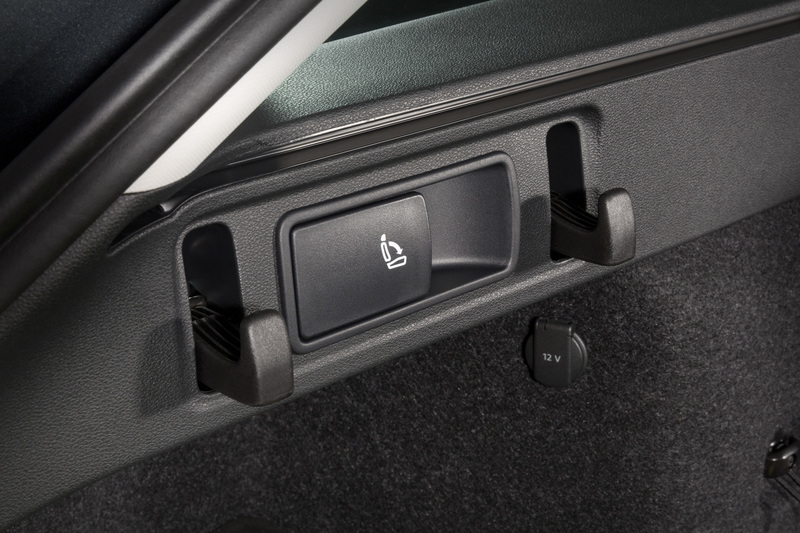 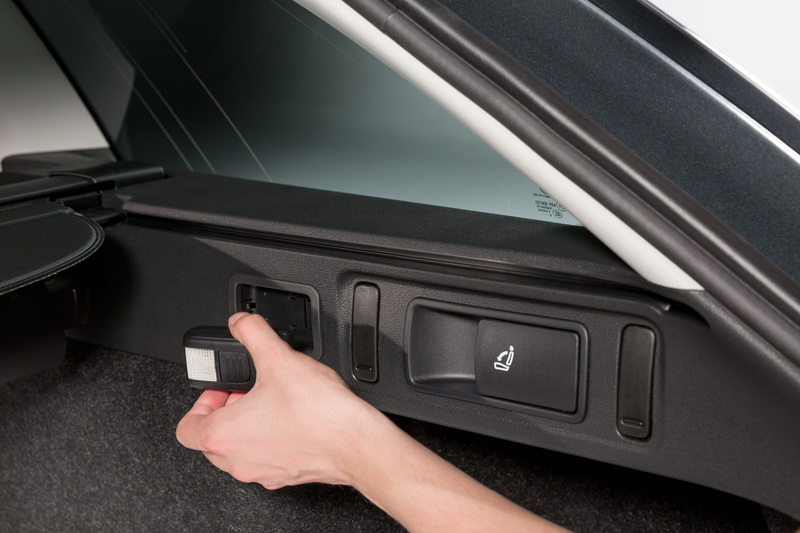 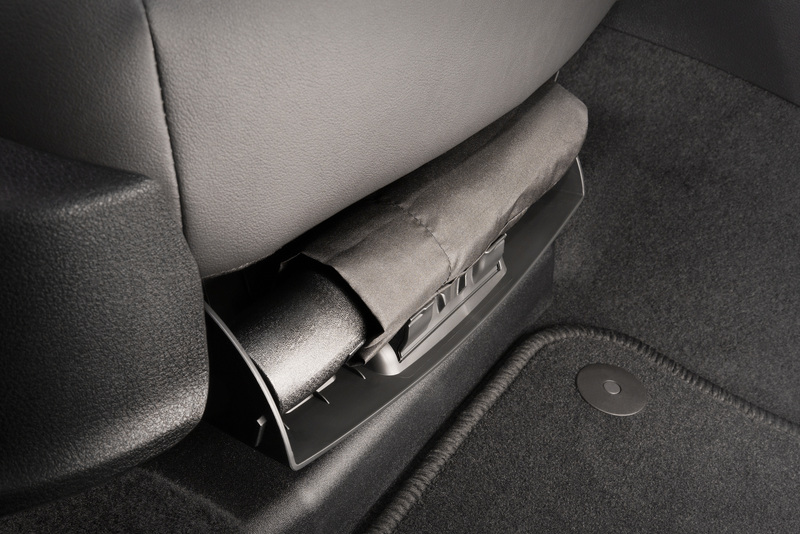 Park Assist comes in a new, enhanced configuration. 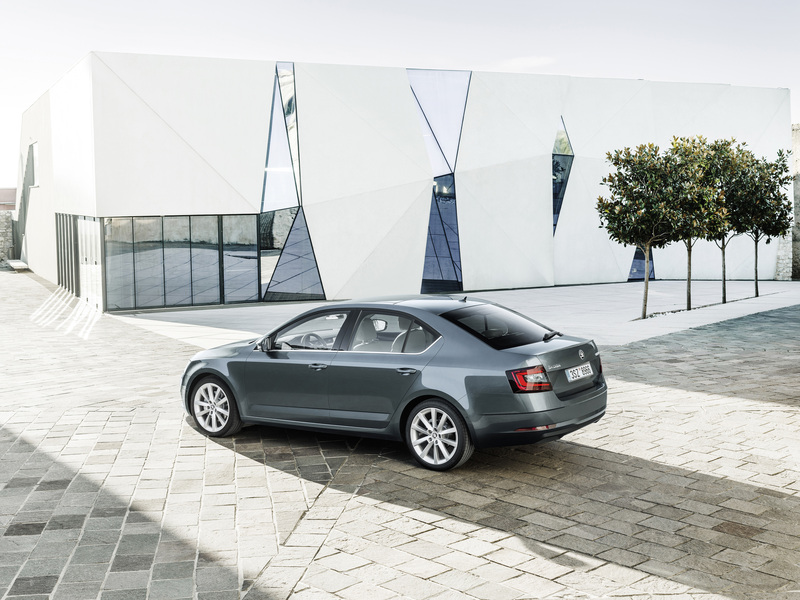 The range of engines consists of four TSI engines, four TDI engines and one CNG powertrain; they combine strong performance with low consumption. 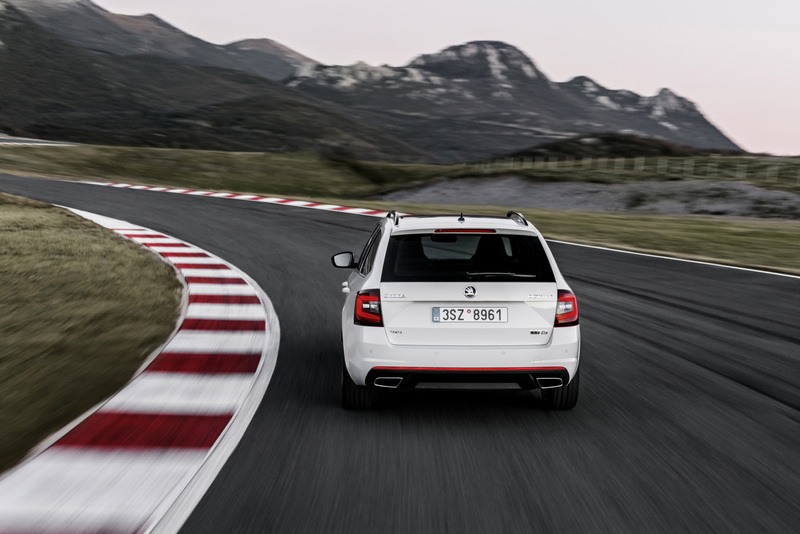 Their power ranges from 63 kW (86 PS) to 135 kW (184 PS). 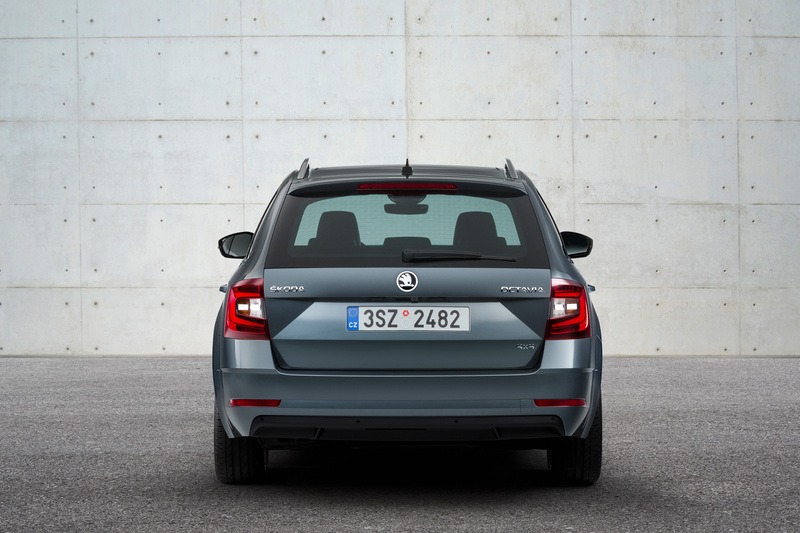 The 1.4-l G-TEC with 81 kW (110 PS) is a particularly economical engine which is designed for use with CNG. 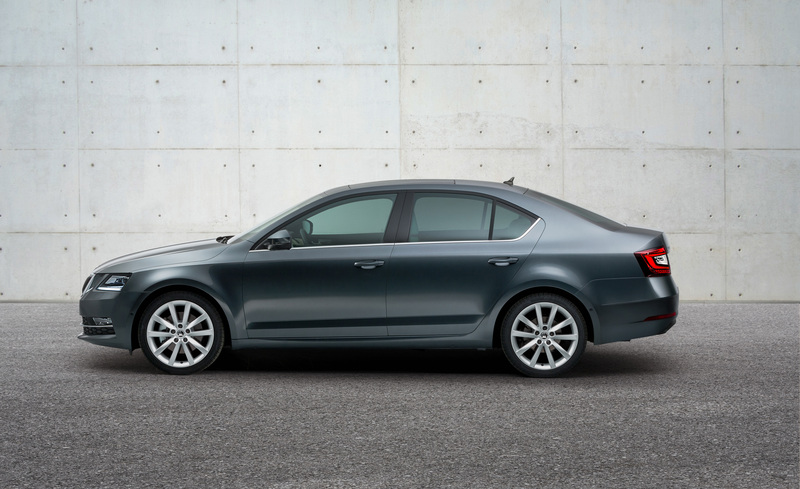 Besides manual gearboxes, DSG transmissions with six or seven speeds are available for almost all of the engines; ŠKODA offers all-wheel drive for the 1.8 TSI and the 2.0 TDI. 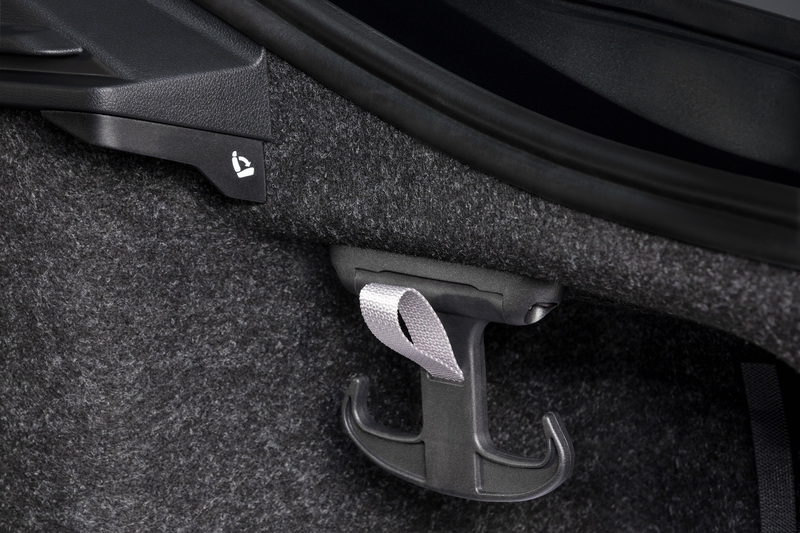 Optional Dynamic Chassis Control (DCC) is a highlight for the chassis – with it, the driver can regulate the character of the suspension by selecting the Comfort, Normal or Sport modes. 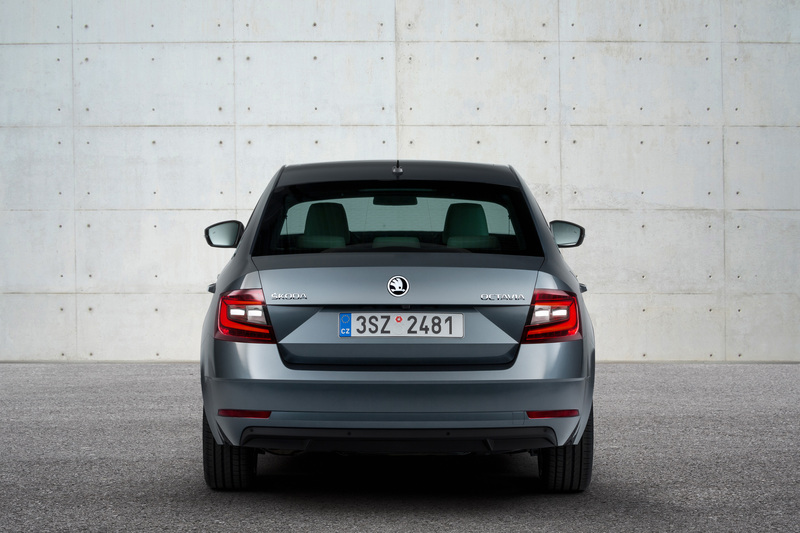 All engines conform to the Euro 6 standard. 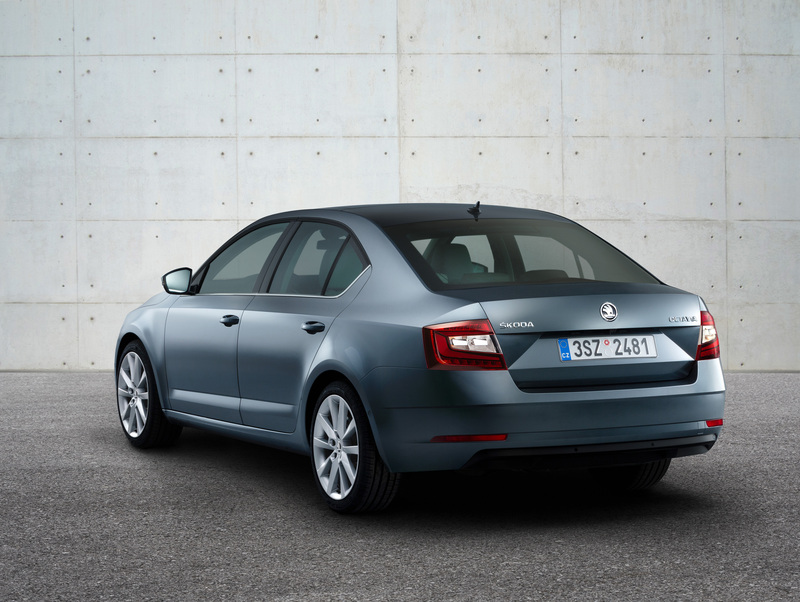 When it comes to interior space, the ŠKODA OCTAVIA continues to set benchmarks. 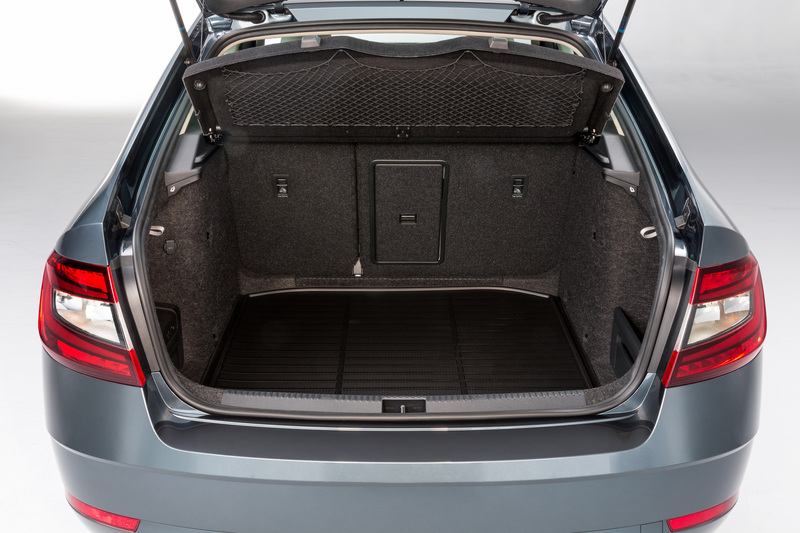 The hatchback and the Combi each offer 1,782 mm of interior length and 73 mm of kneeroom in the rear. 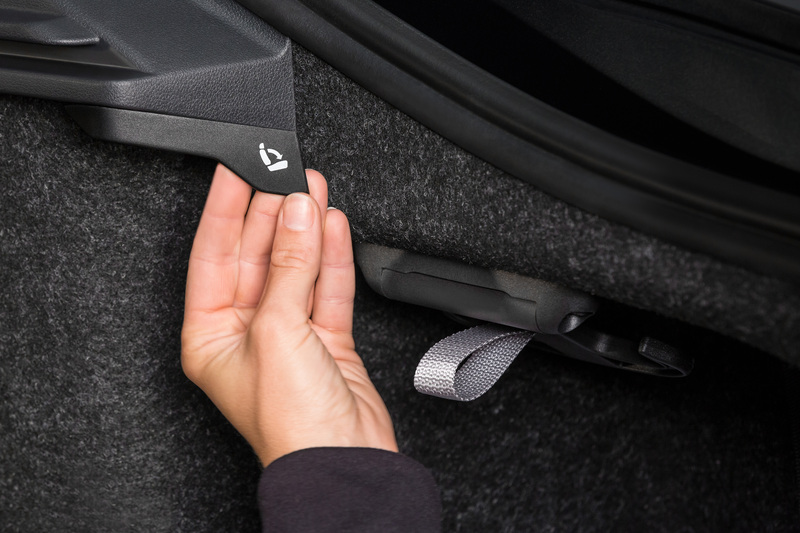 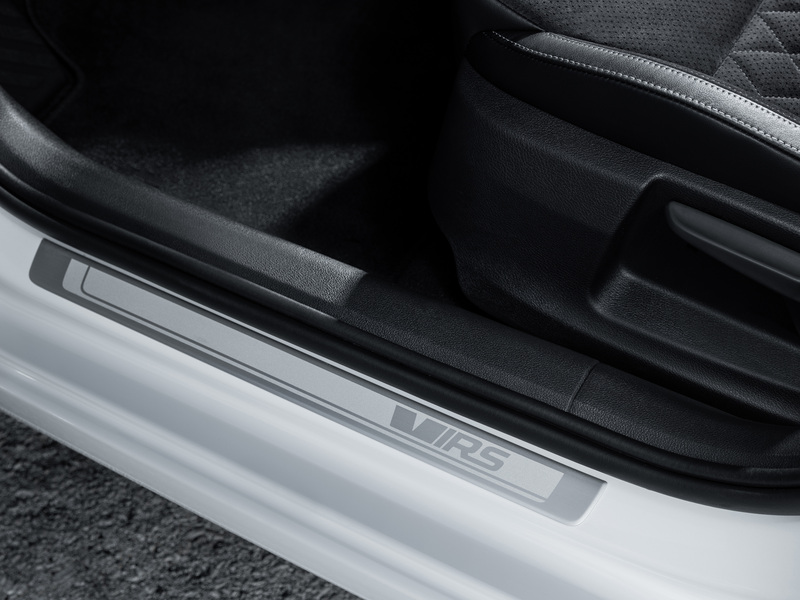 Their boot capacities measure 590 and 610 l respectively, with the back seats folded down it’s 1,580/1,740 l. For the Combi, an electric tailgate is available as an option. 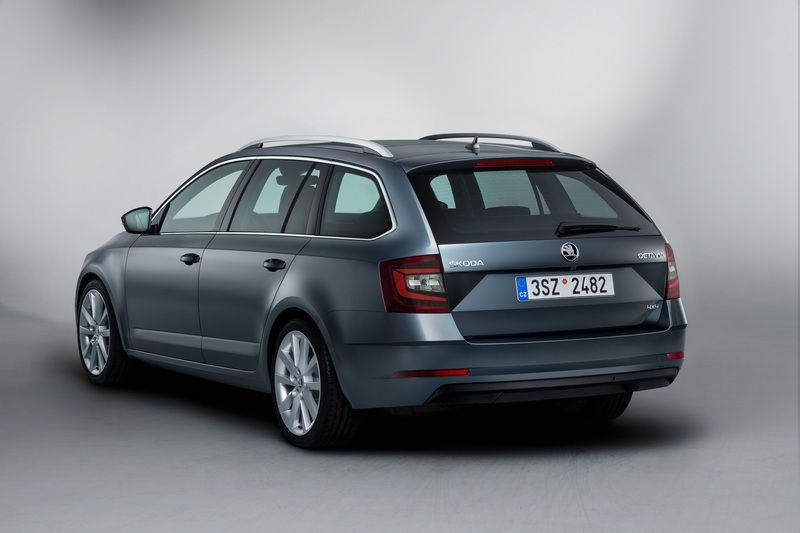 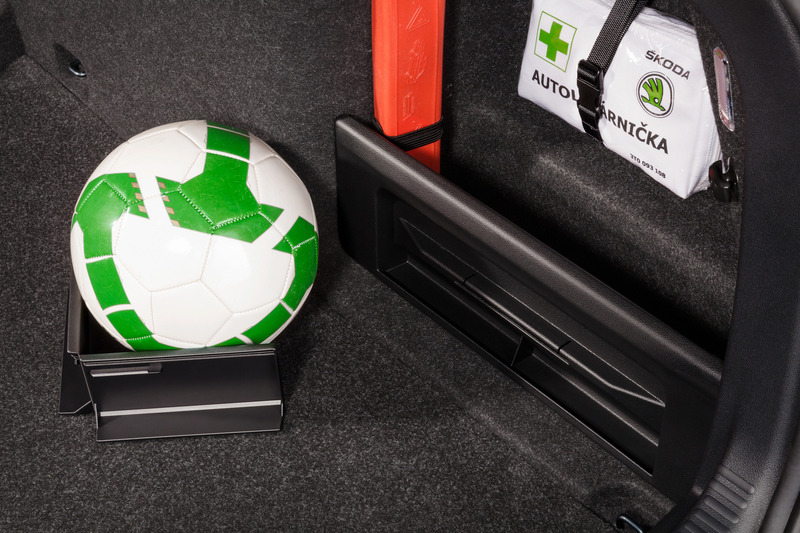 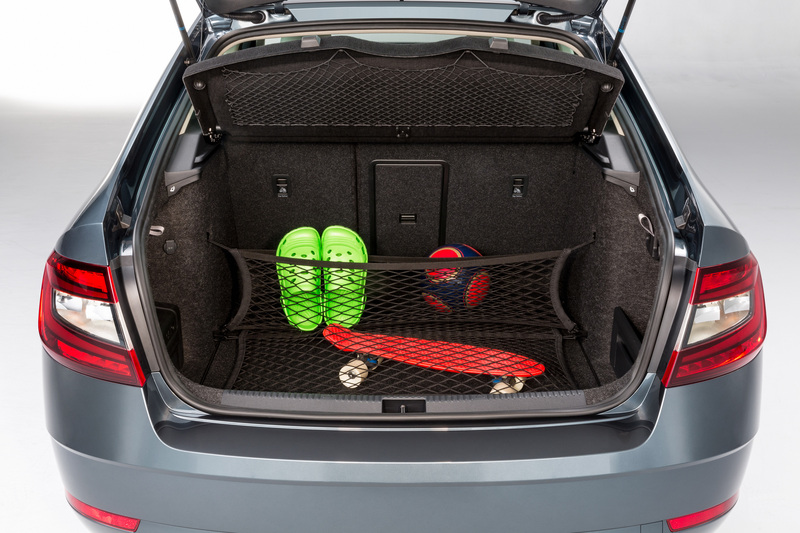 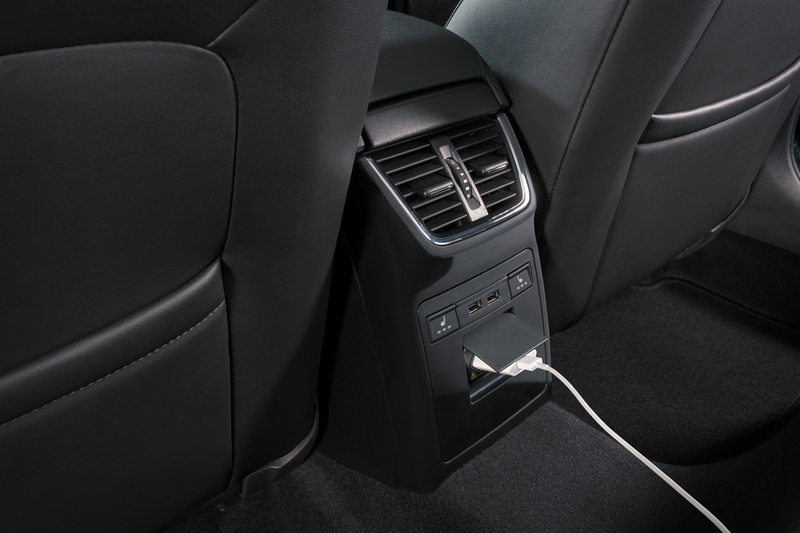 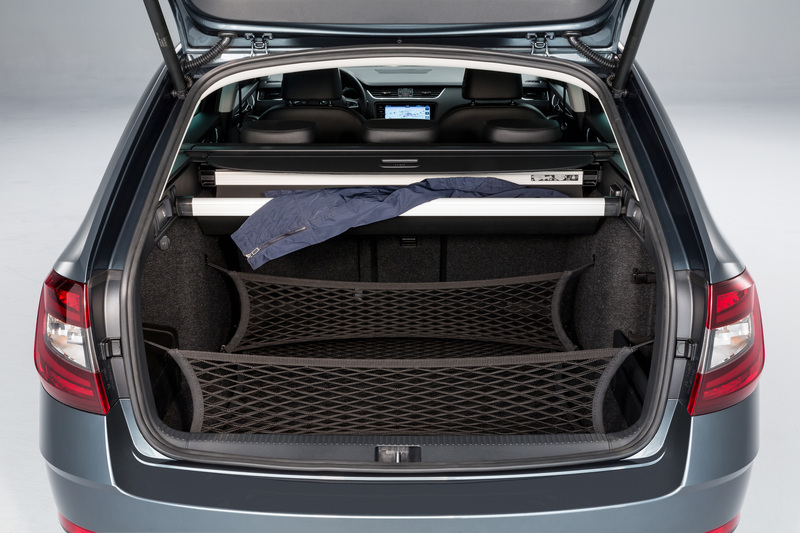 Some new ideas have been added to the many ‘Simply Clever‛ features already offered by the ŠKODA OCTAVIA to date: two USB ports in the rear, folding tray tables on the back of the front seats, bottle holders that make the opening of PET bottles easier, and a removable LED torch in the Combi’s boot. 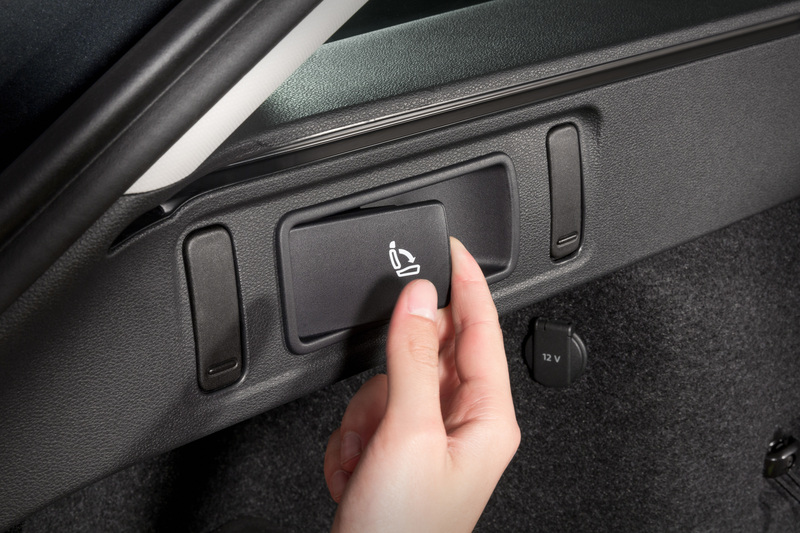 The heated steering wheel and customisable keys in particular ensure extra comfort and convenience. 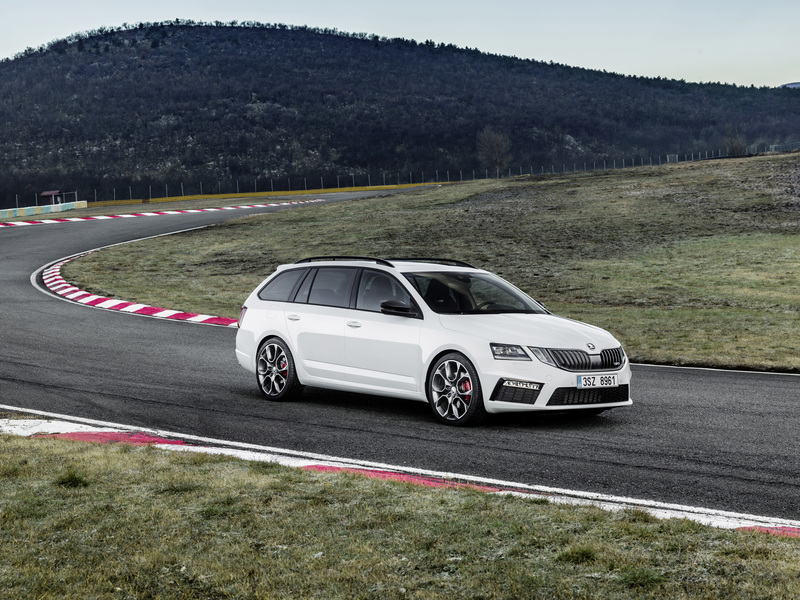 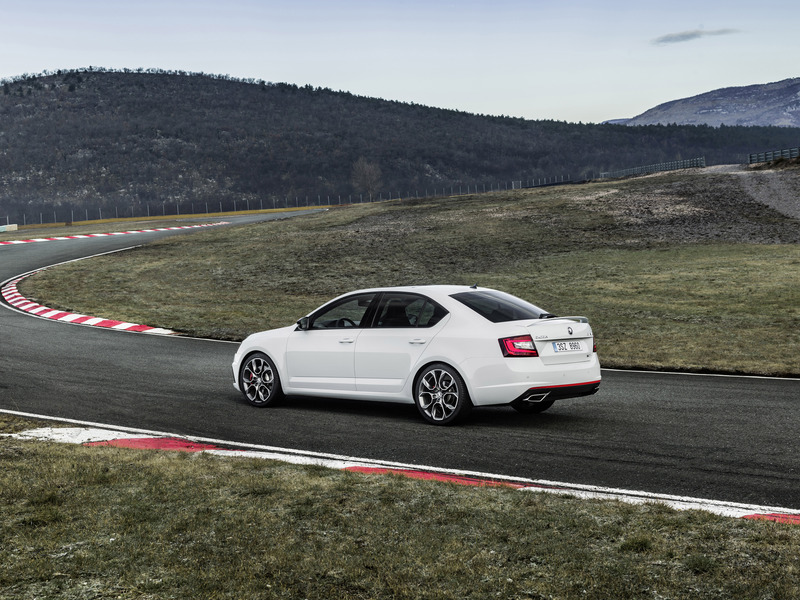 The 2.0 TDI (110 kW / 150 PS) with DSG transmission and all-wheel drive constitutes a new powertrain option – the first all-wheel-drive OCTAVIA with 7-speed DSG. 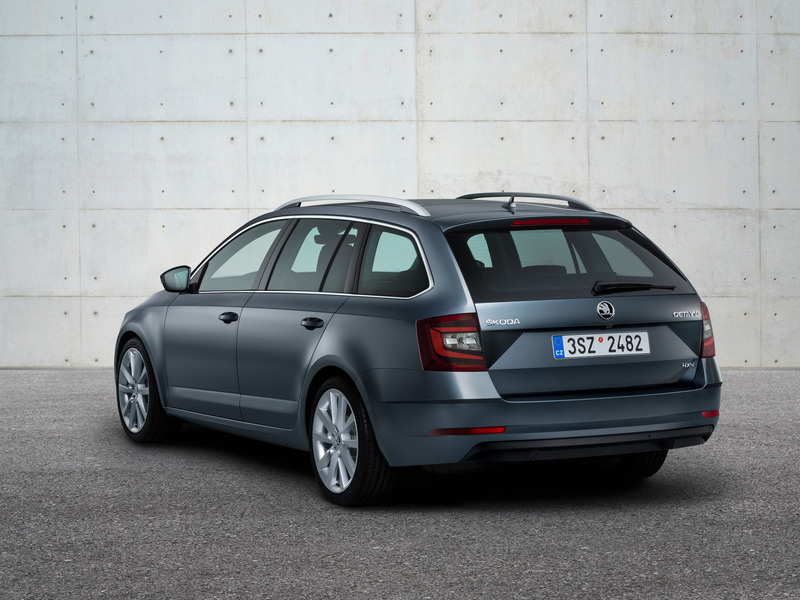 At the top end of the upgraded OCTAVIA portfolio are two RS engine variants – the 2.0 TSI petrol and the 2.0 TDI diesel. 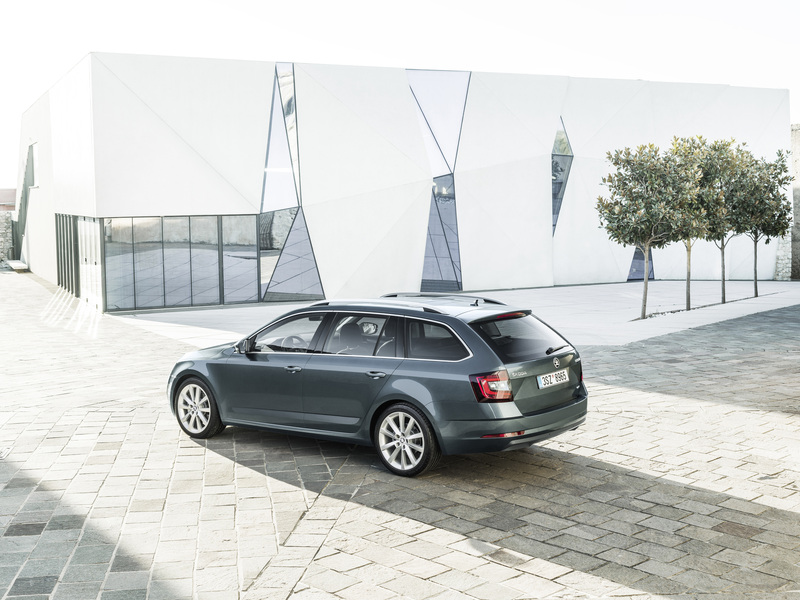 The hatchback and the Combi combine their high performance with the great strengths of the model range and the new groundbreaking technology for the infotainment, connectivity and assistance systems. 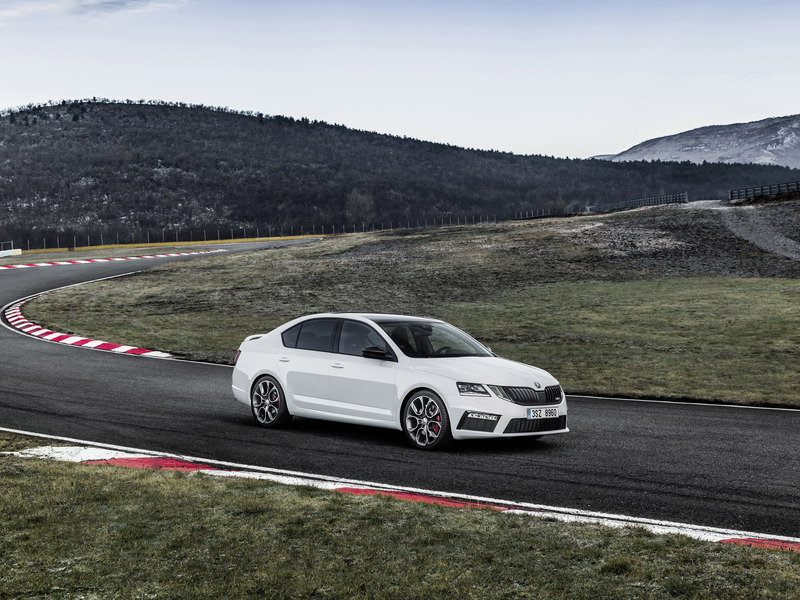 The RS models also present themselves in the new, streamlined design with the expressive four-eyed face. 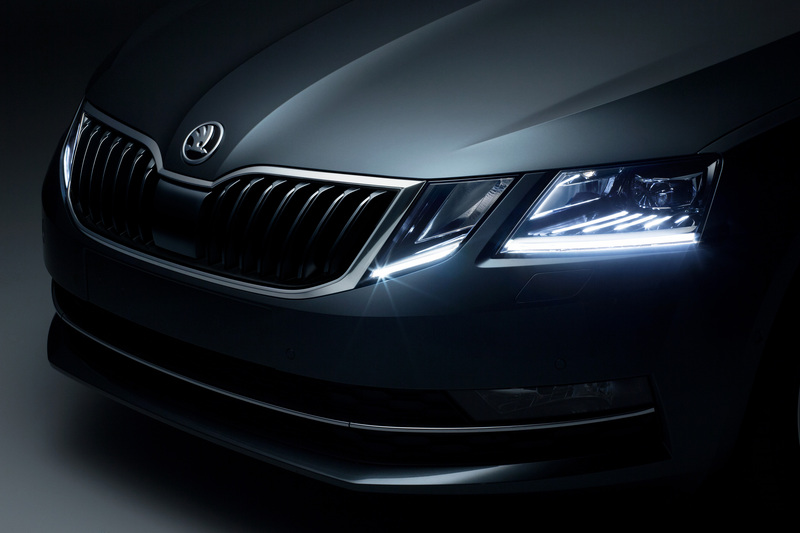 The headlights, fog lights and tail lights feature LED technology; details like the black radiator grille, the distinctive air ducts, the spoiler and the large exhaust pipes hint at the dynamic character. 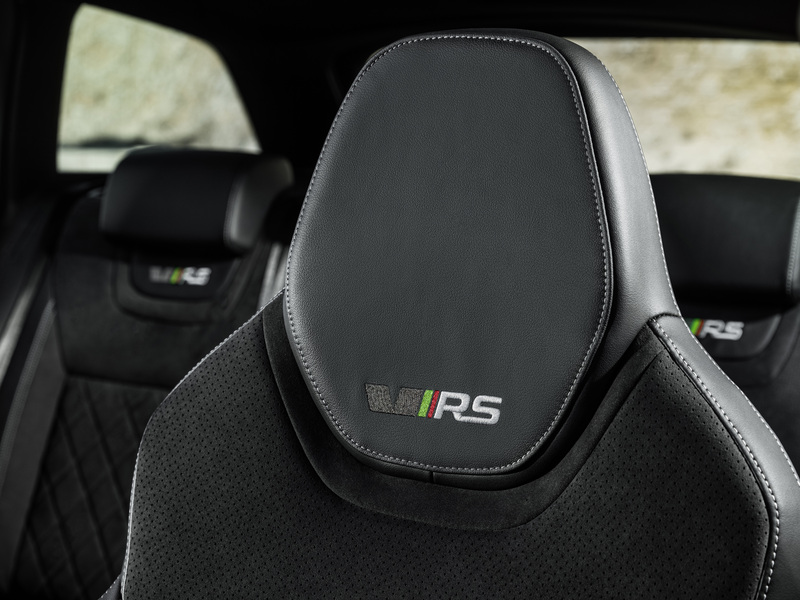 In the interior, there are RS sports seats with leather/fabric covers (Alcantara® as an option), elegant decorative strips and ambient lighting. 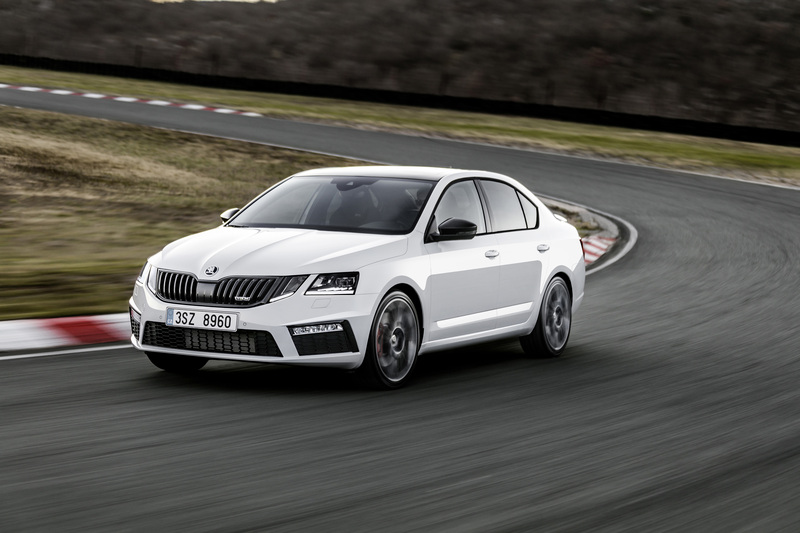 At the press event for the upgraded OCTAVIA in Vienna, ŠKODA presents yet another highlight – the FABIA R5, the winning rally car in the 2016 FIA World Rally Championship (WRC 2). 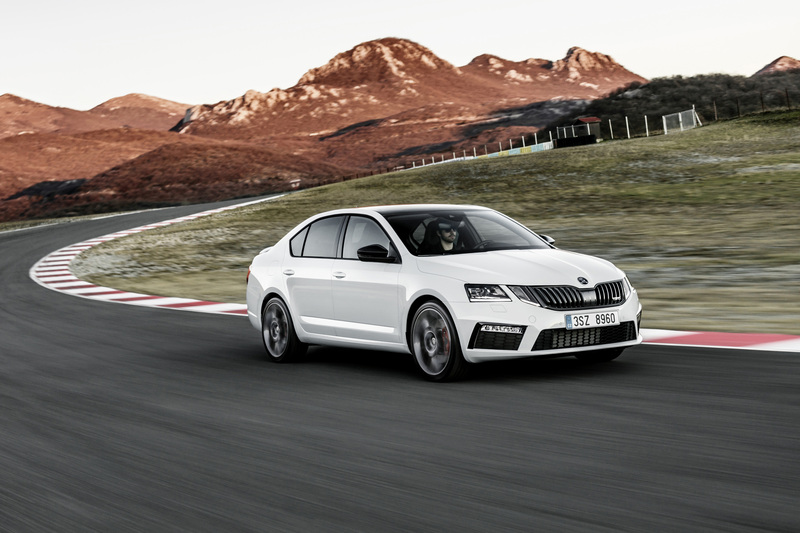 The best rally car within its class is powered by a 1.6-litre turbo engine, which produces 205 kW (290 PS) and 420 Nm of torque. 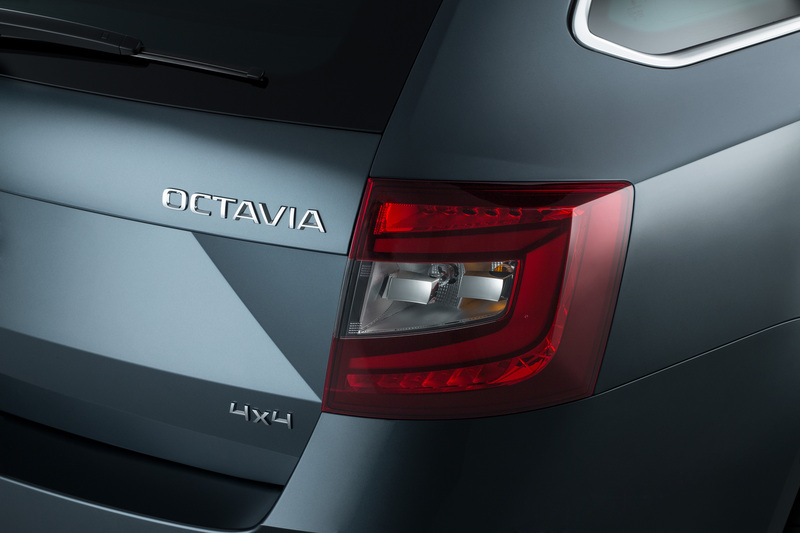 A sequential five-speed transmission transfers the power to the 4×4 drive system that uses mechanical differentials on both axles. 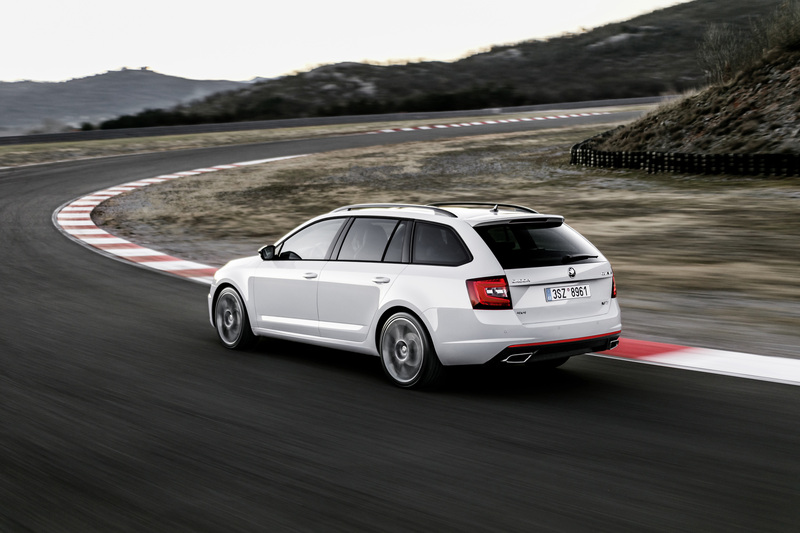 The wheel dimensions are 15 inches on gravel and 18 inches on tarmac. 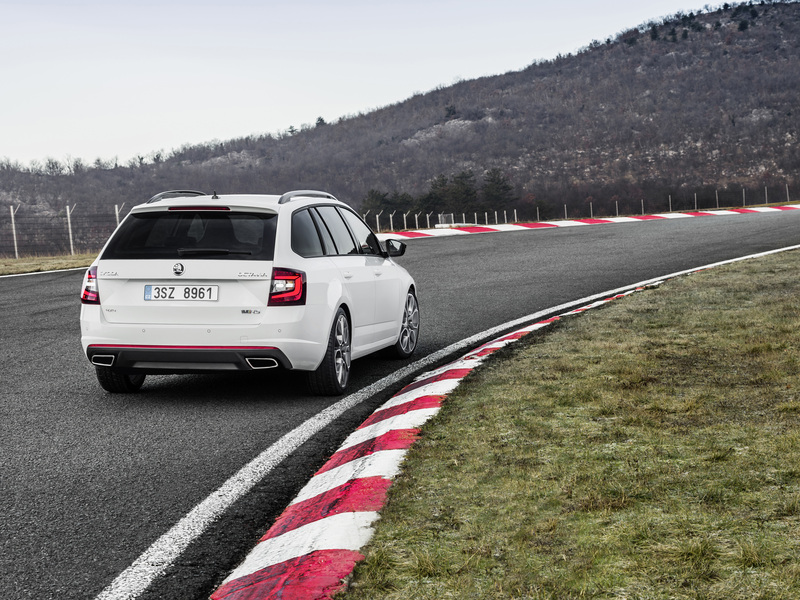 In accordance with regulations, the minimum weight for the rally car, which is just short of four metres long, is 1,230 kg; the price for customer teams is 180,000 euros.